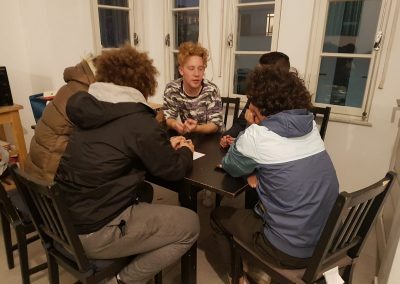 As you know, the students arrived on Monday and began to meet each other and the staff. 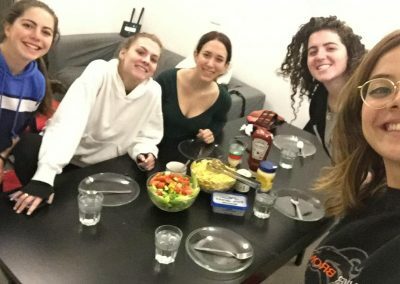 It was a long day of settling in and unpacking. 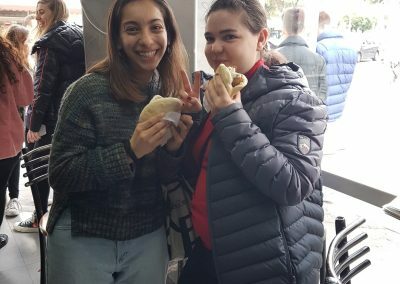 For lunch, the students had their first taste of local Israeli falafel from the shop next door. 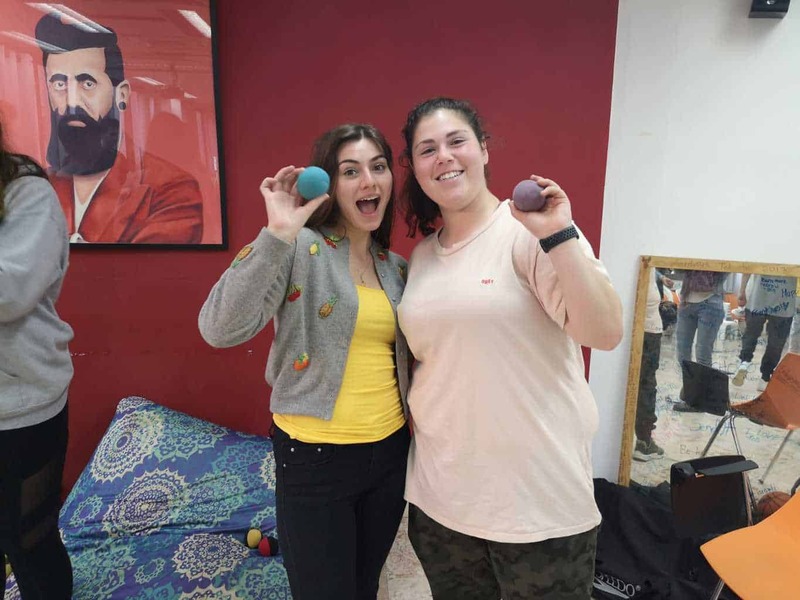 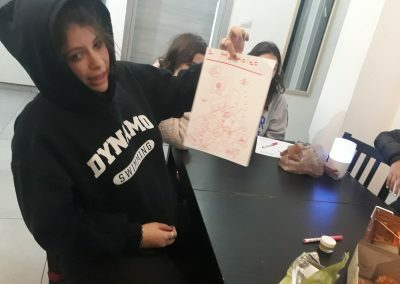 When everyone had settled in, the Madrichim played icebreaker games and met their “family groups” in their apartments. 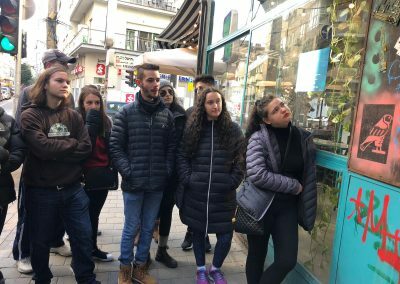 Following that, we had a tour of the Florentine neighbourhood: we showed the students the essential places around the apartment buildings and office. 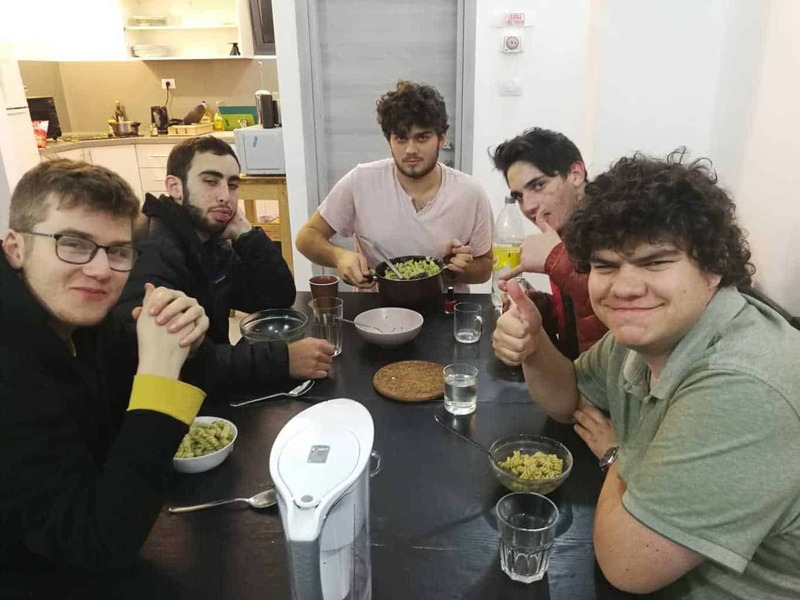 We ended the day with a nice dinner together at a restaurant and followed it with a community talk given by myself about the upcoming semester: goals, main topics, and expectations. 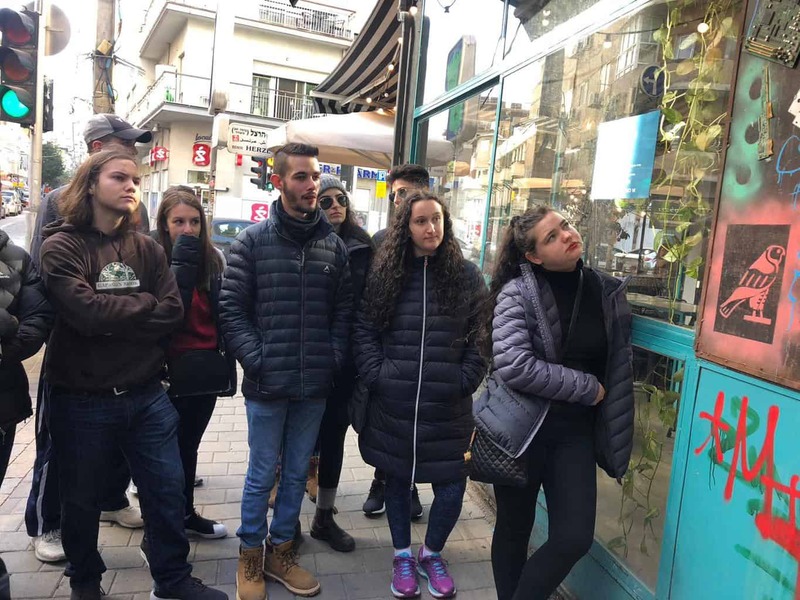 On Tuesday, we began the day with a tasting tour at the Levinsky market (Shuk). 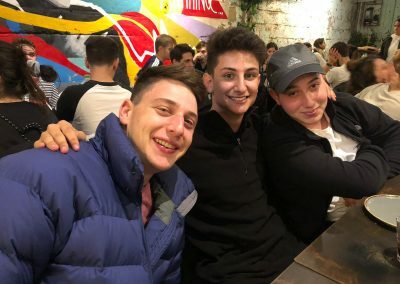 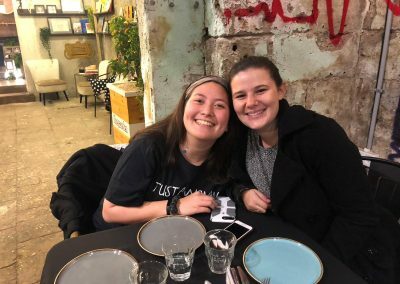 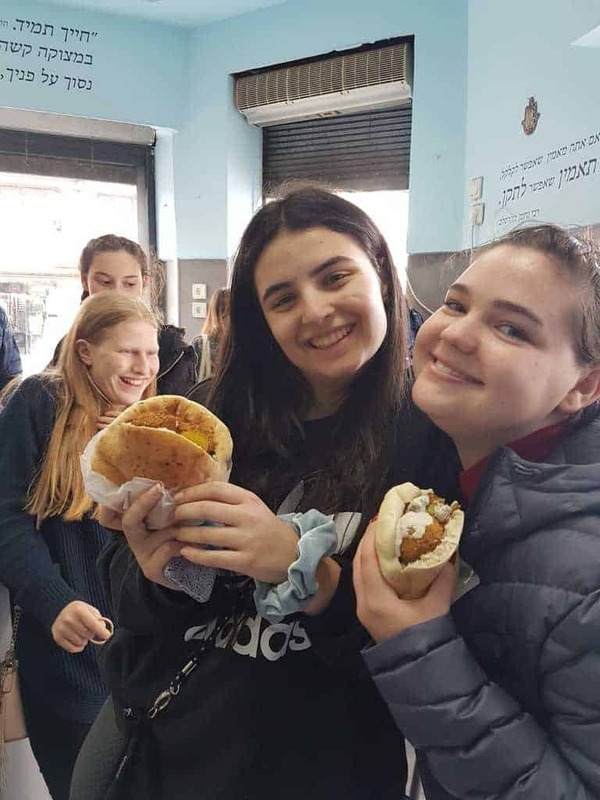 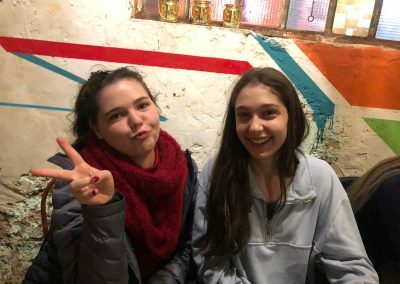 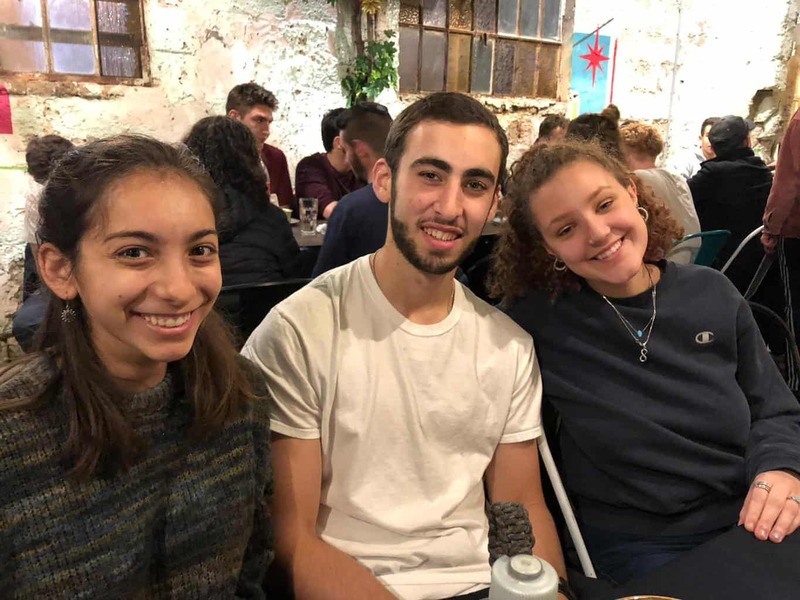 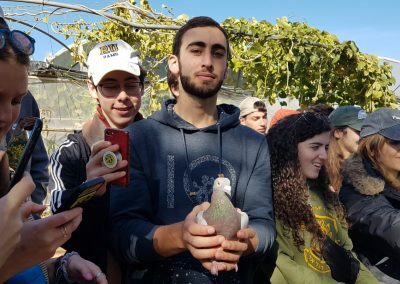 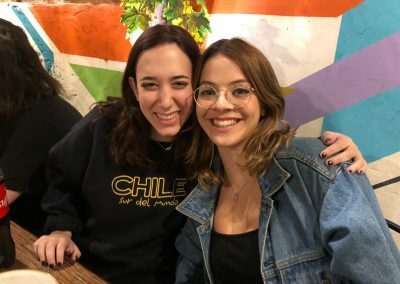 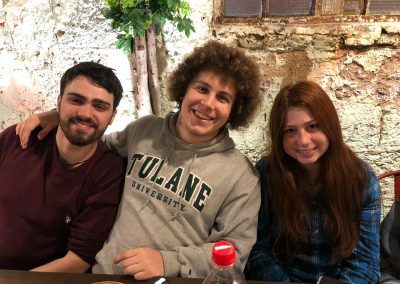 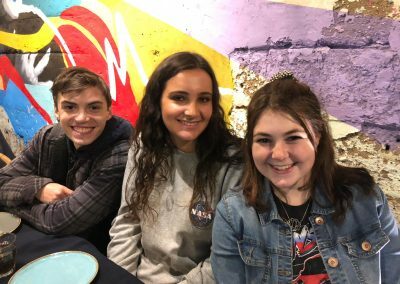 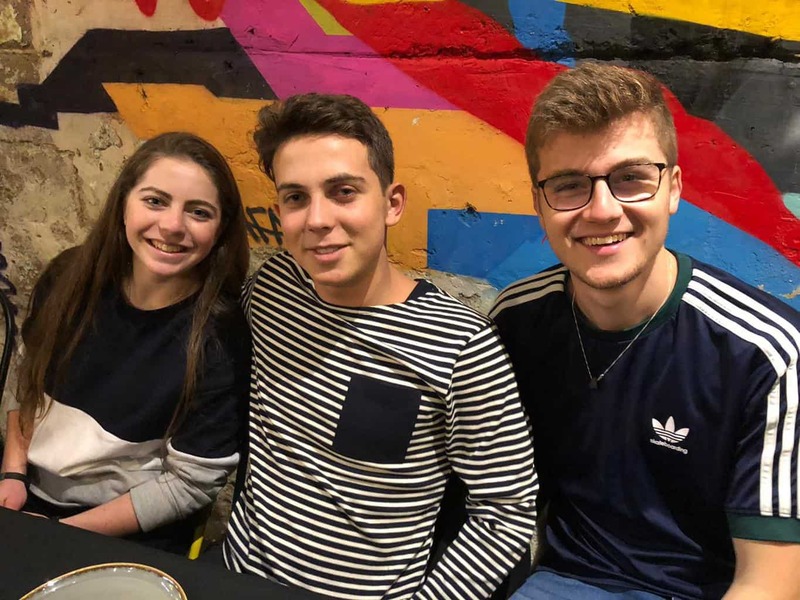 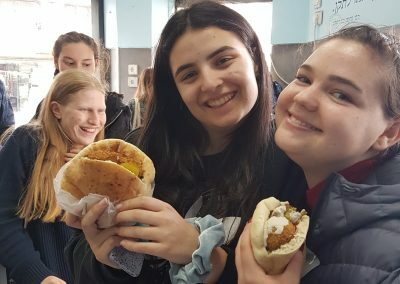 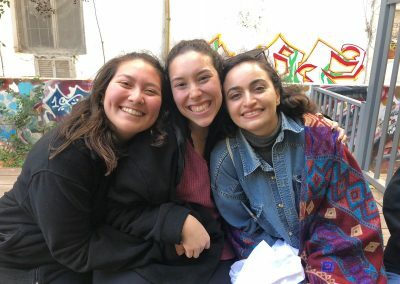 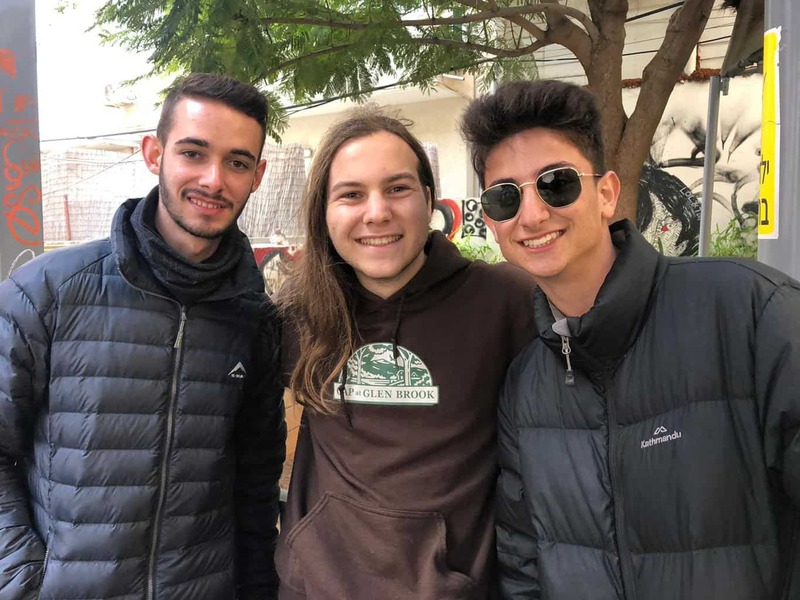 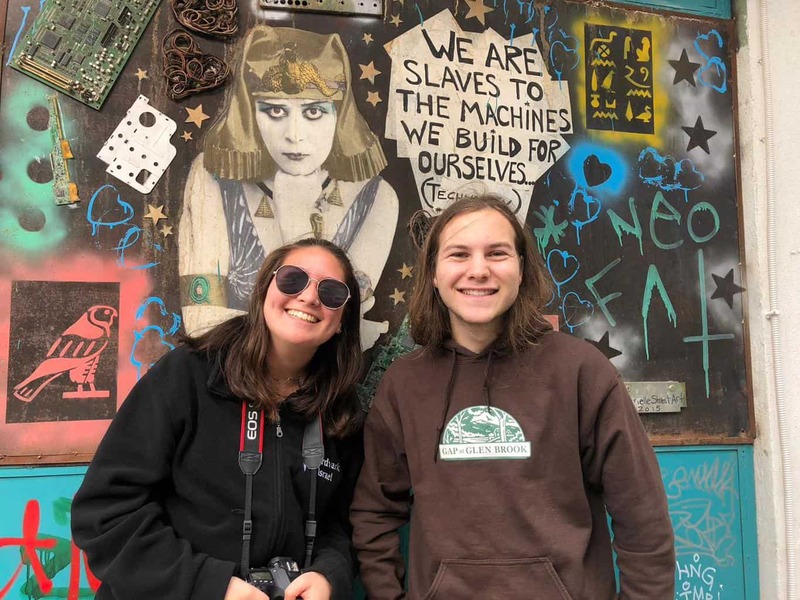 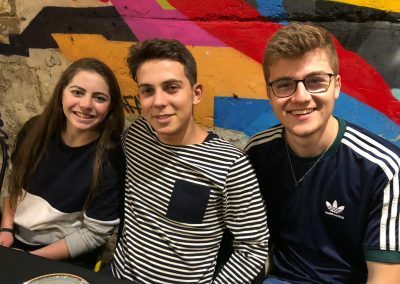 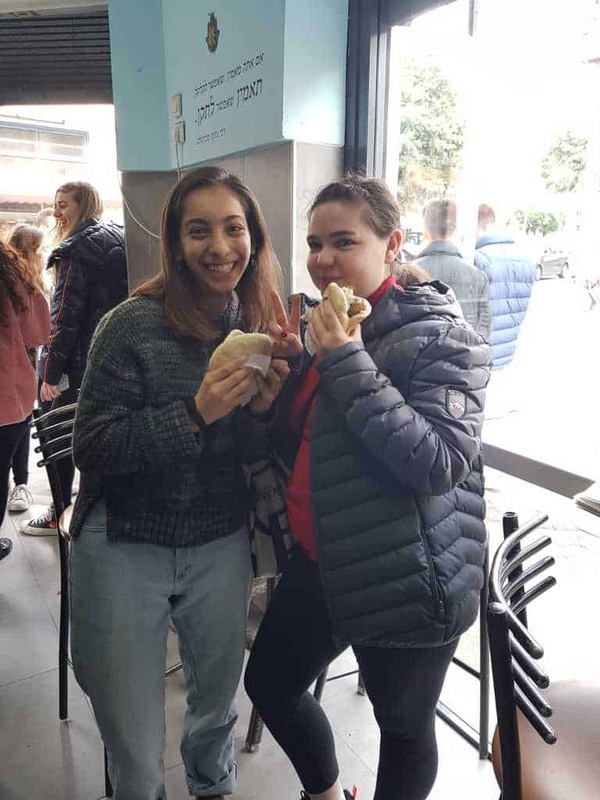 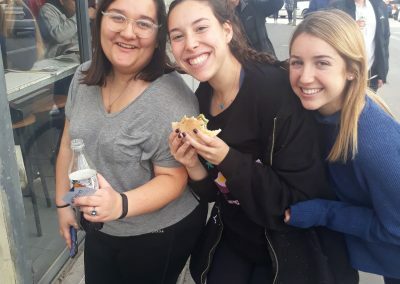 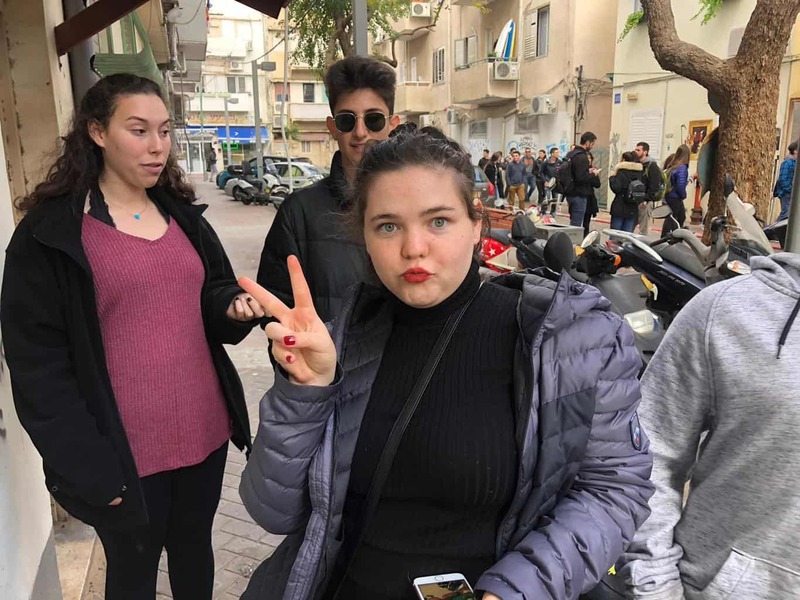 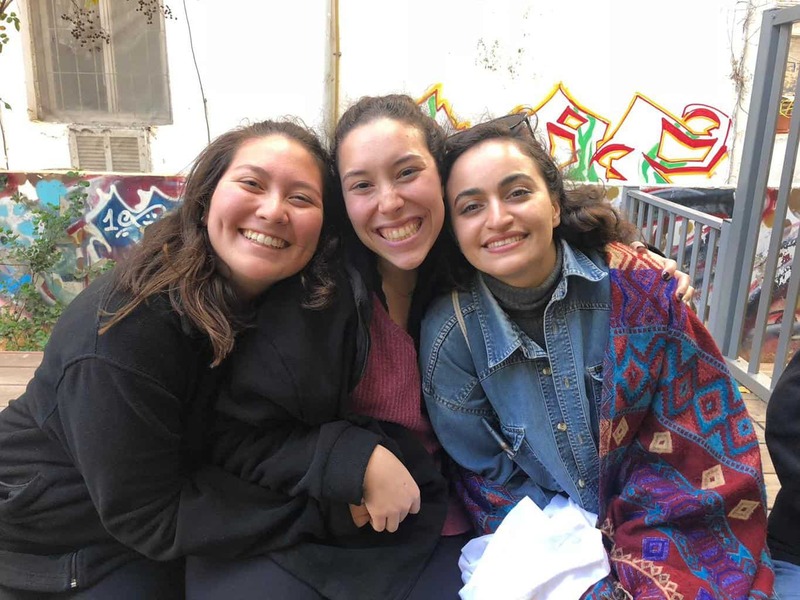 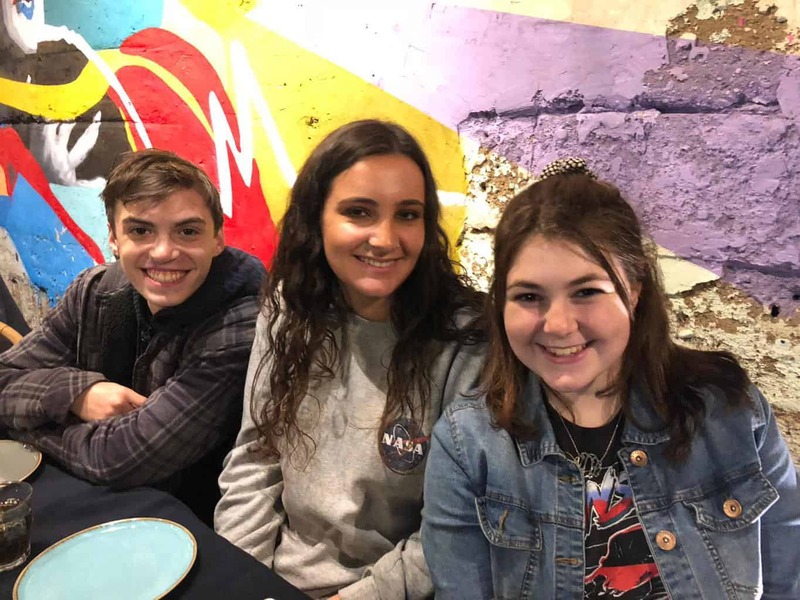 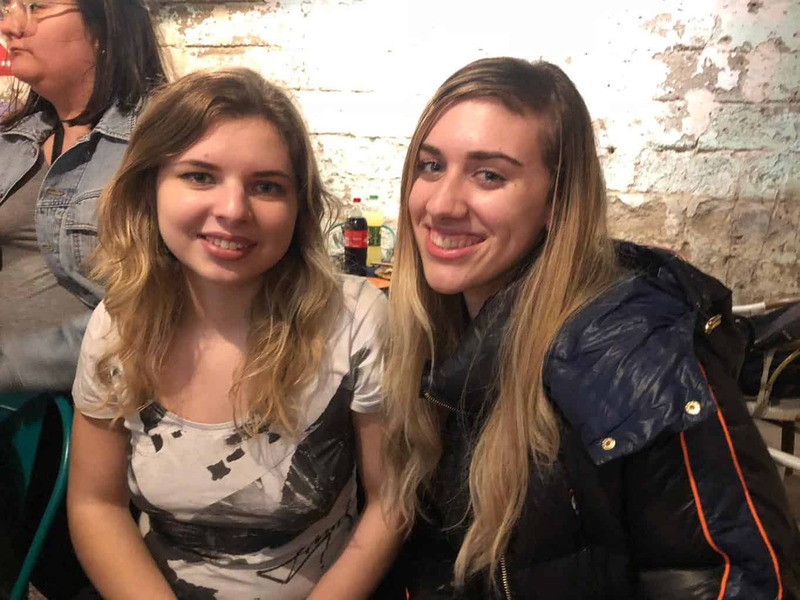 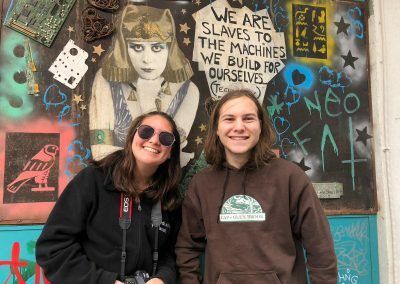 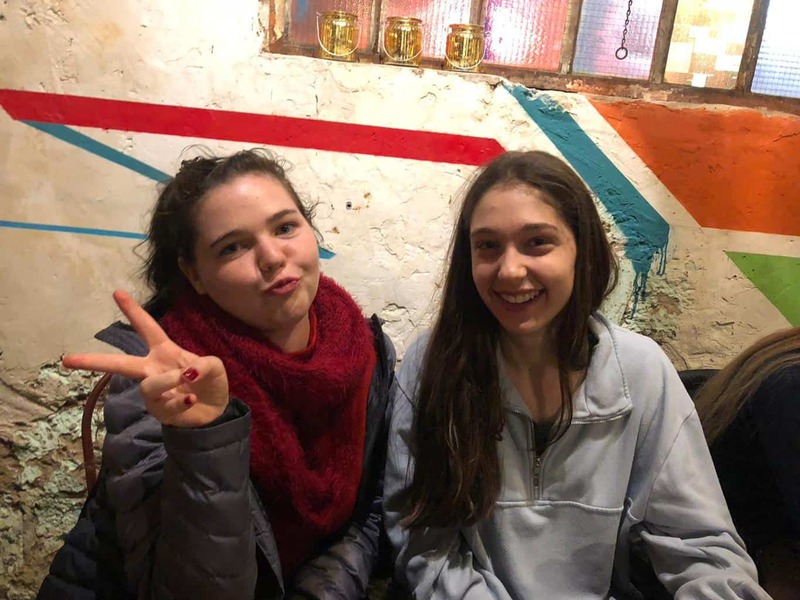 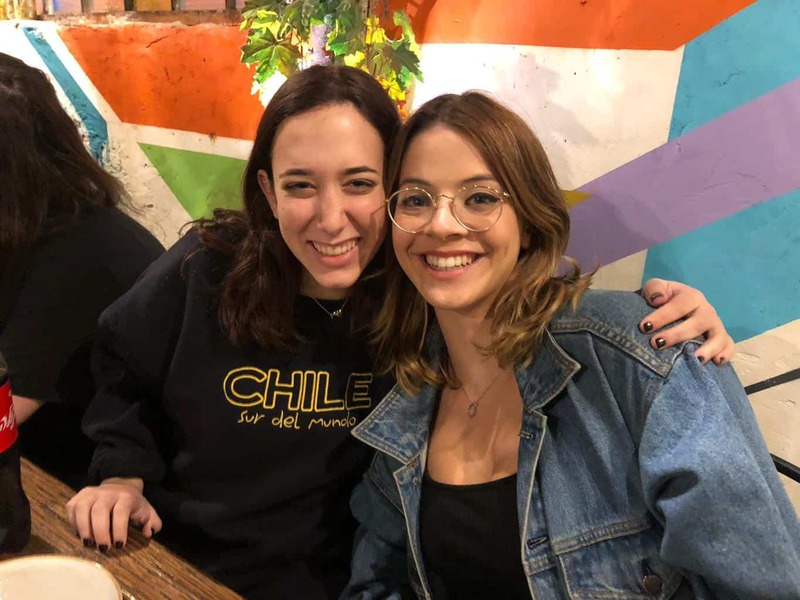 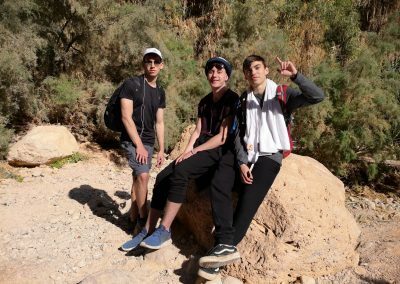 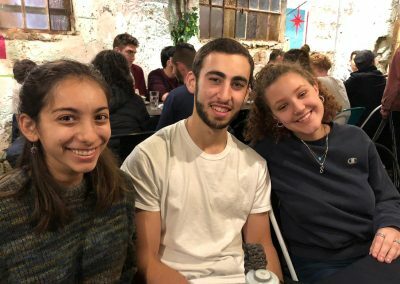 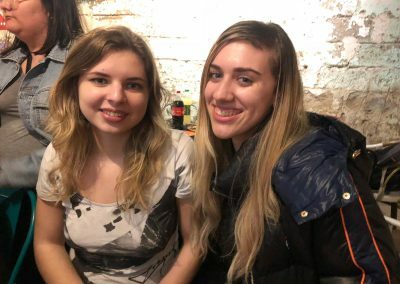 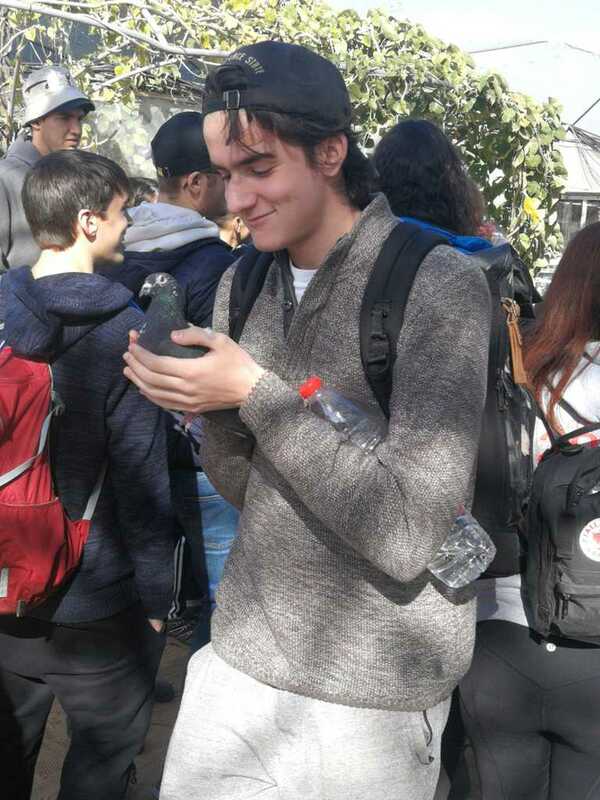 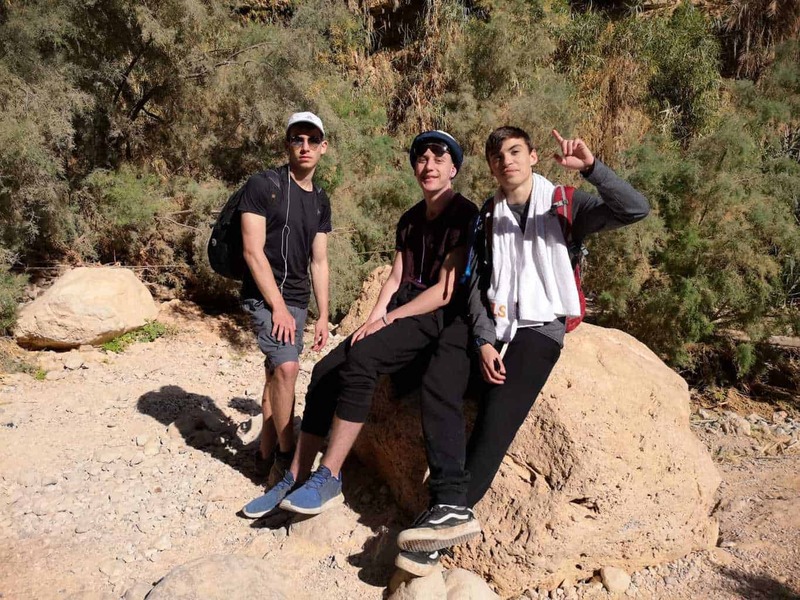 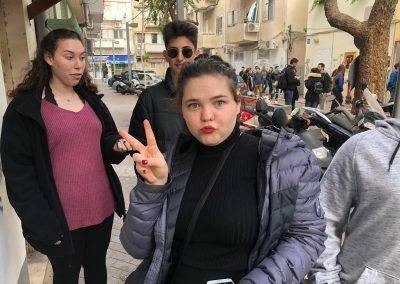 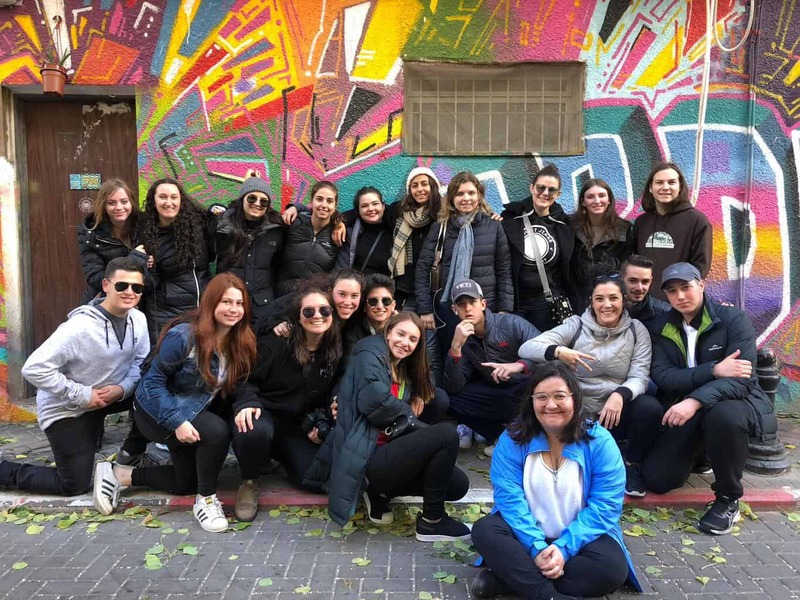 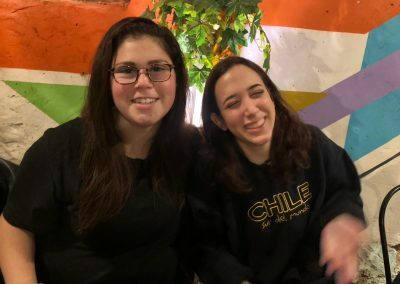 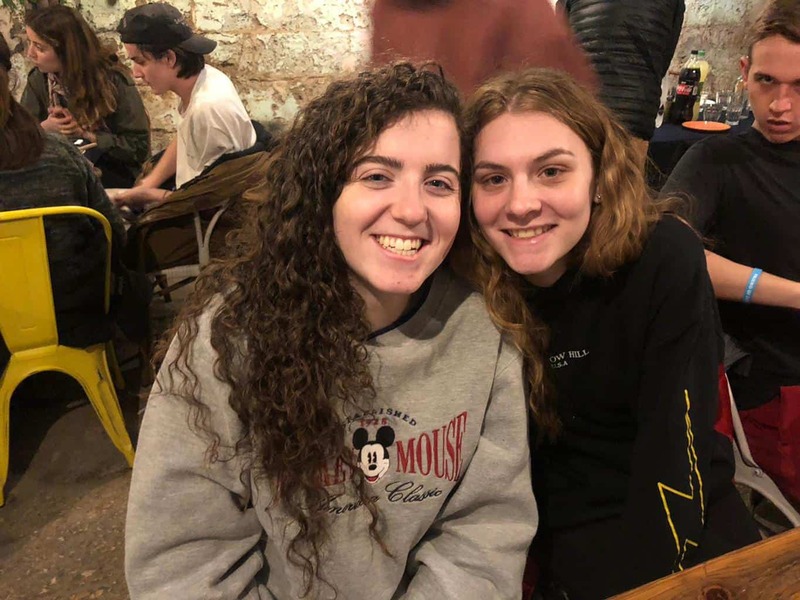 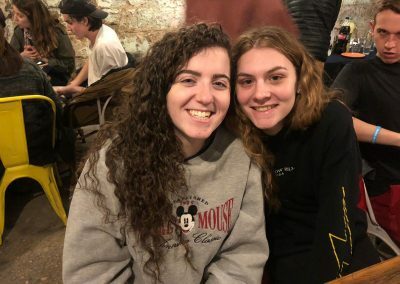 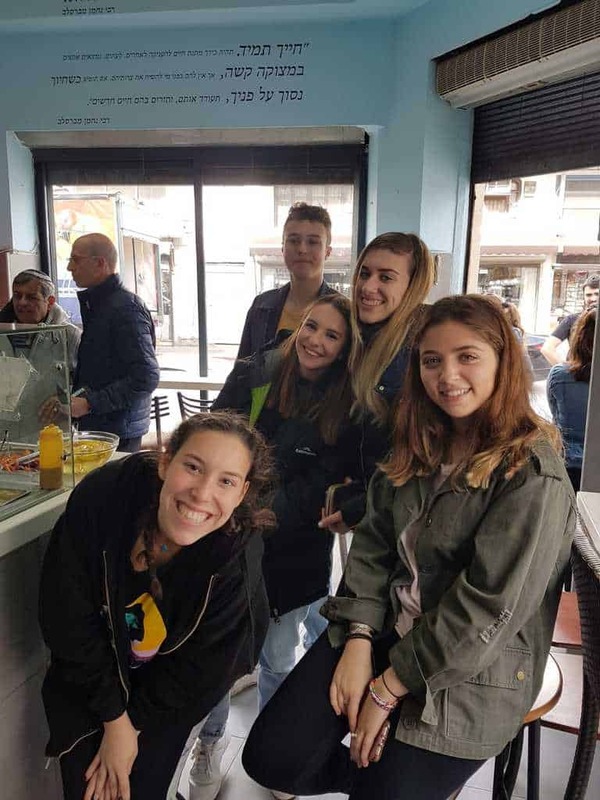 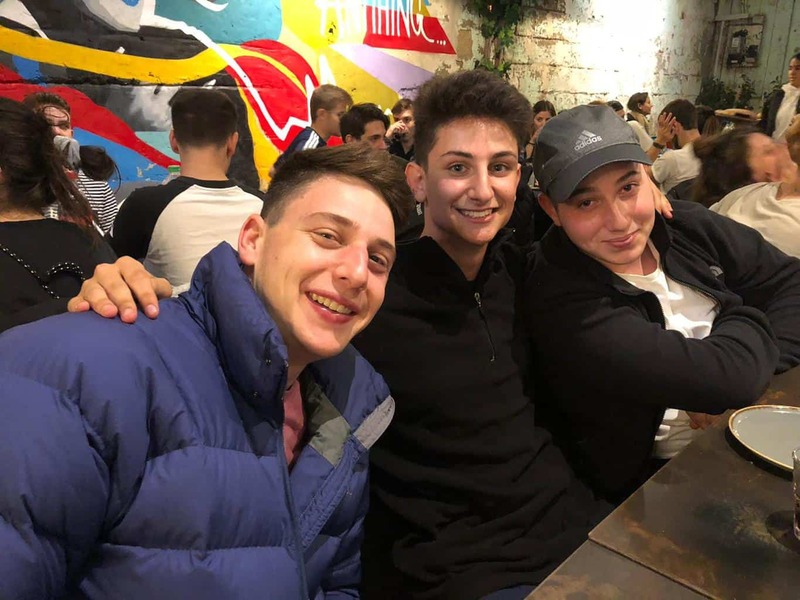 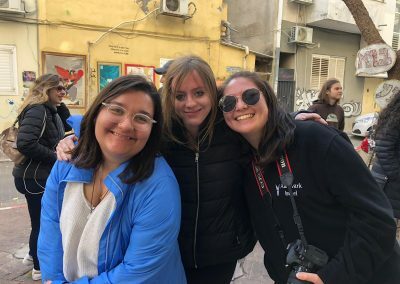 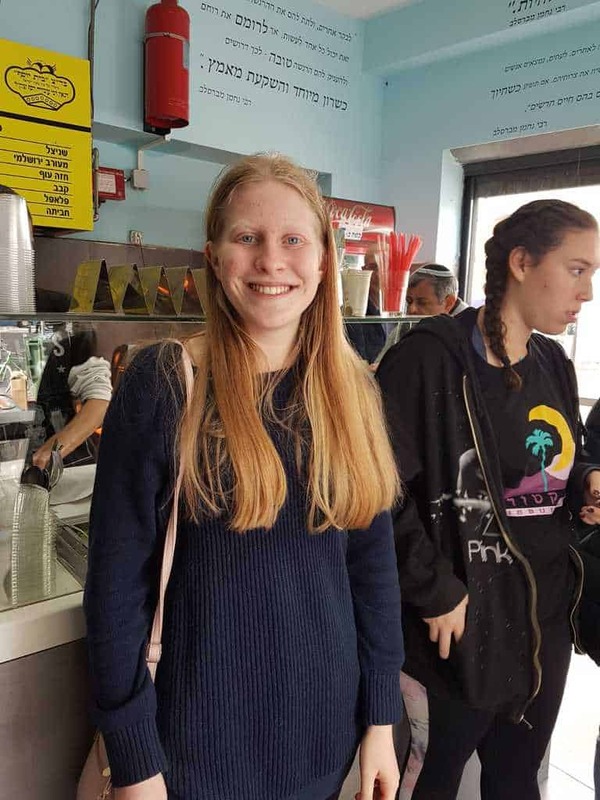 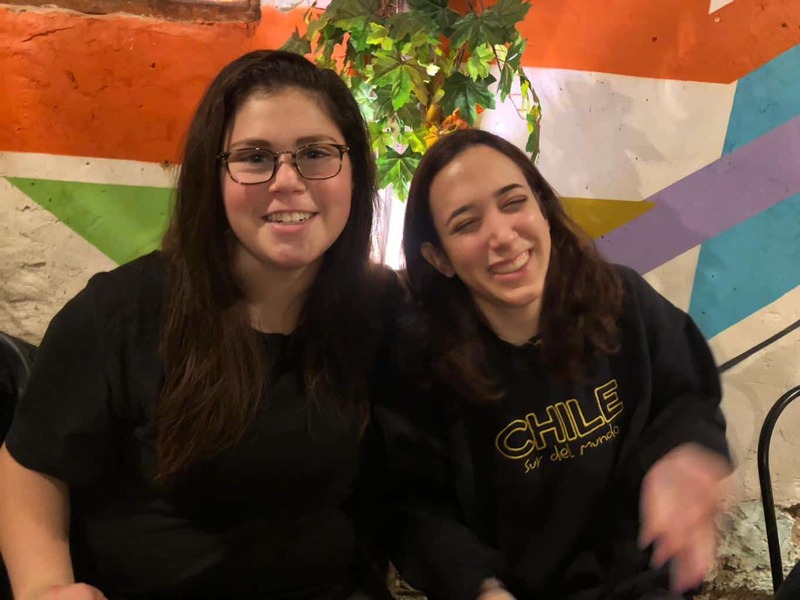 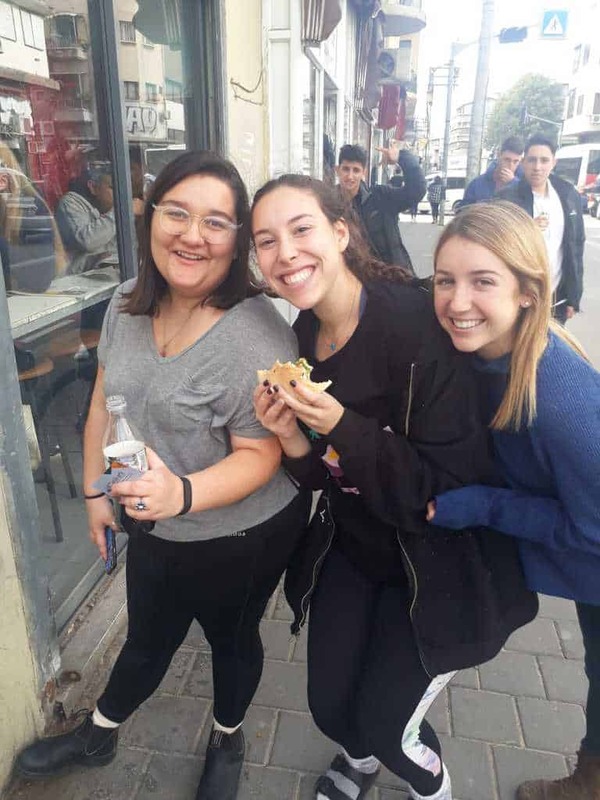 The tour was based on an interactive app and the students had the chance to explore the Shuk by themselves and enjoy some of the best food the market has to offer. 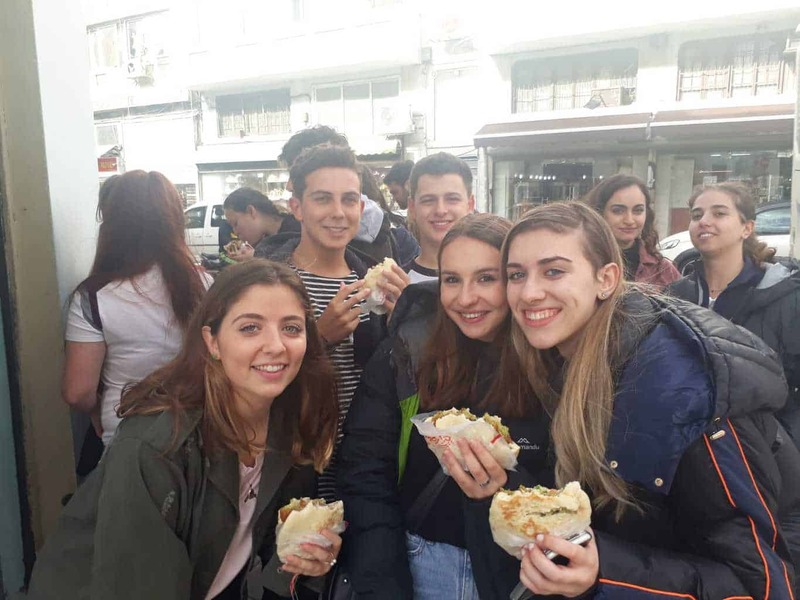 Afterwards, we had breakfast together, followed by an academic session in which the students learned about the courses we have on offer. 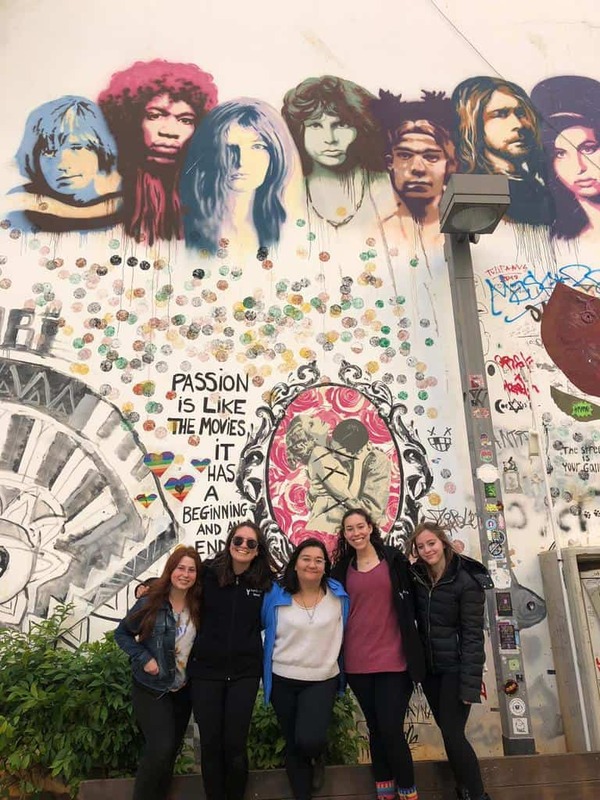 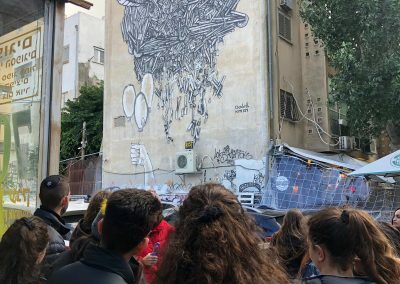 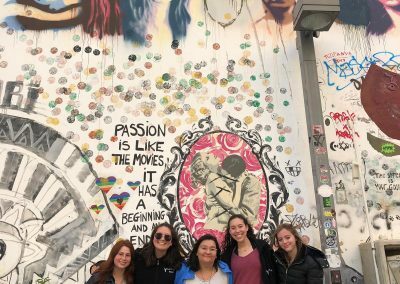 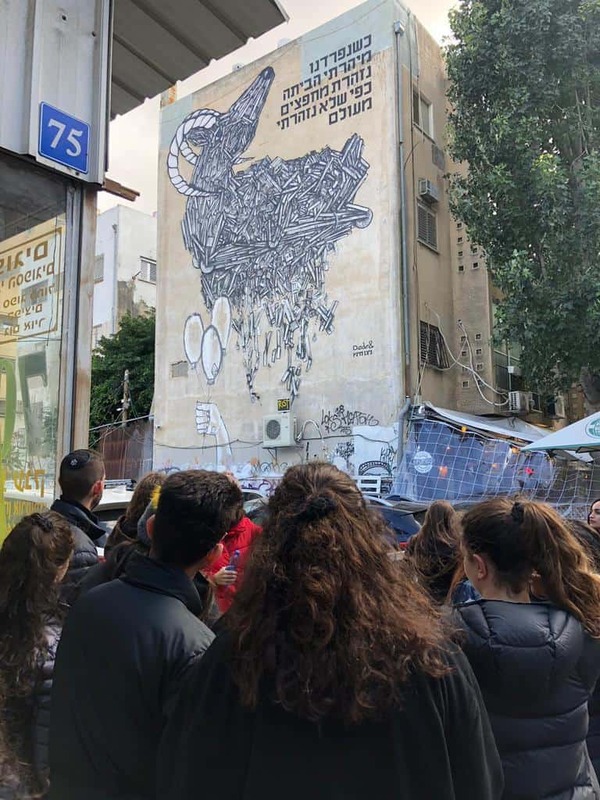 We continued the day with an elective session: a bike tour around Tel Aviv and a street art tour around the south of Tel Aviv. 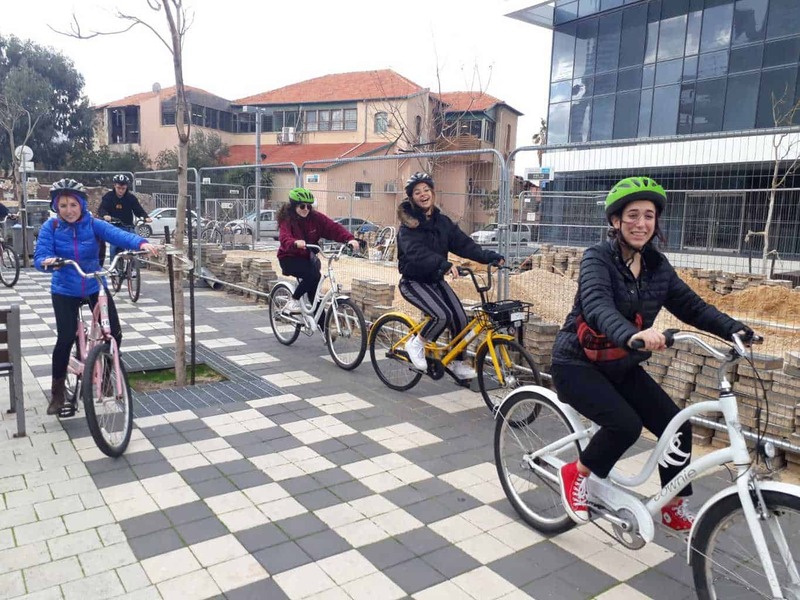 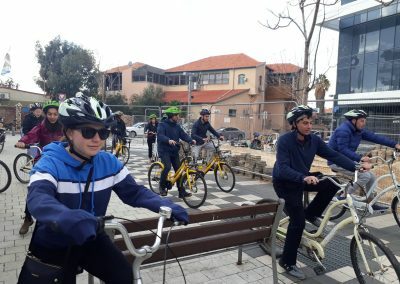 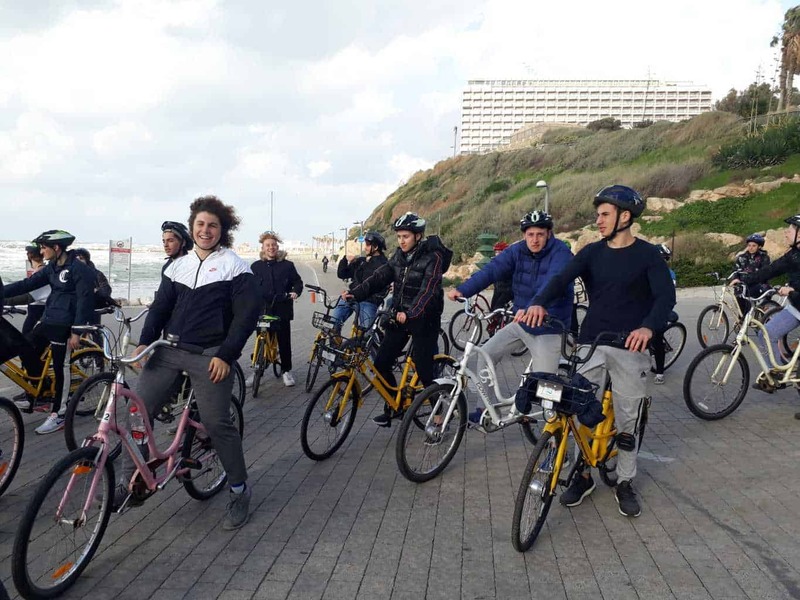 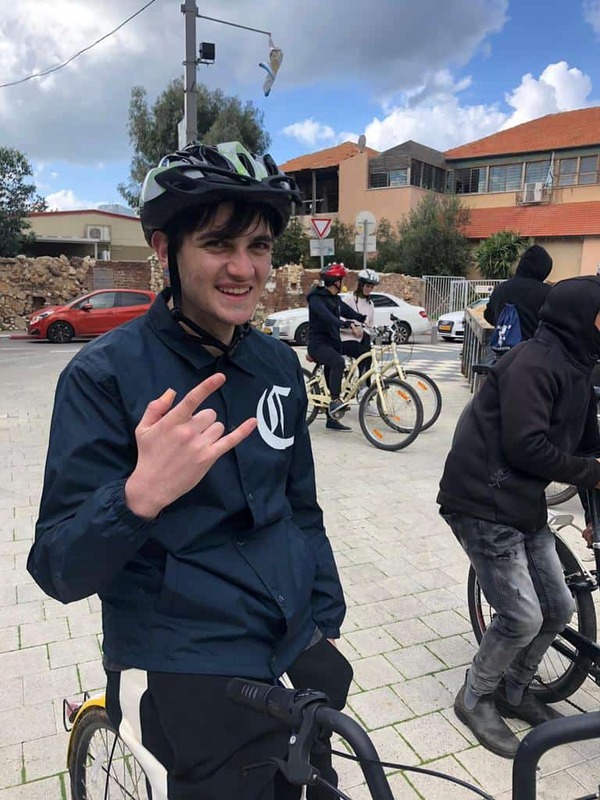 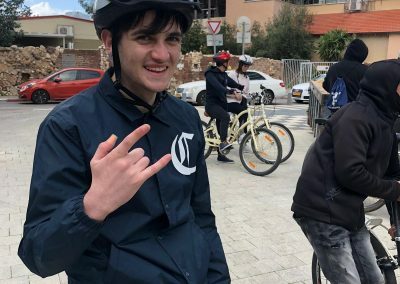 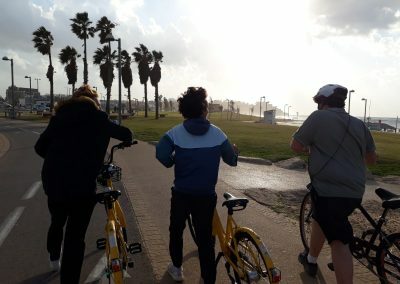 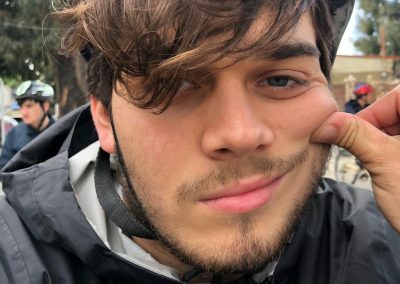 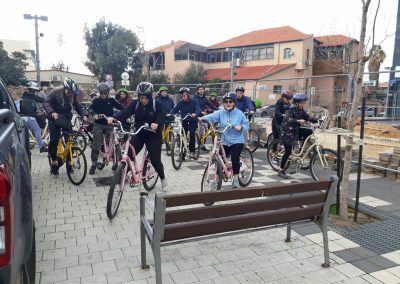 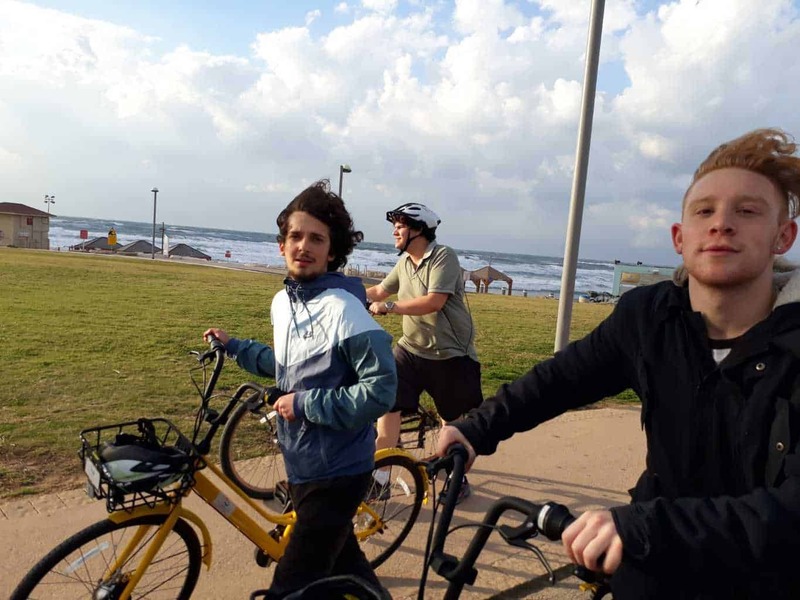 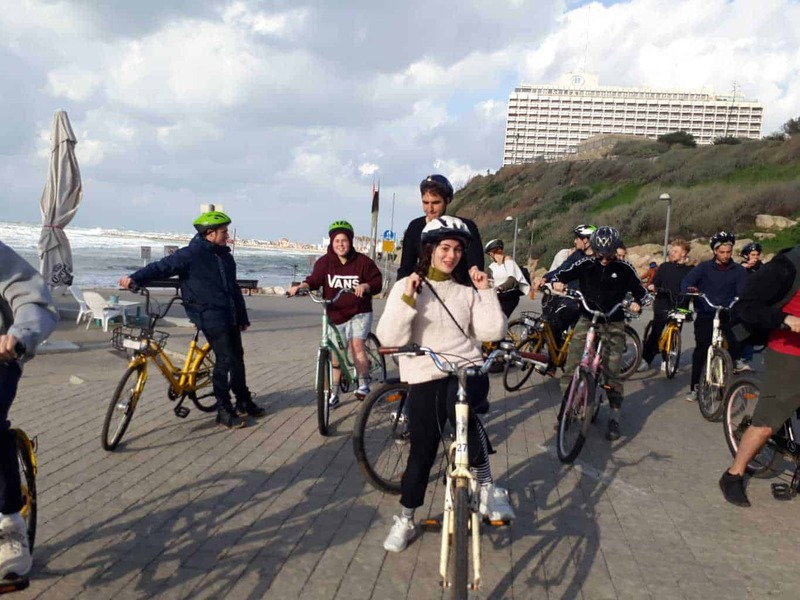 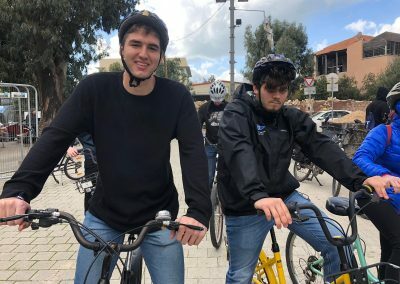 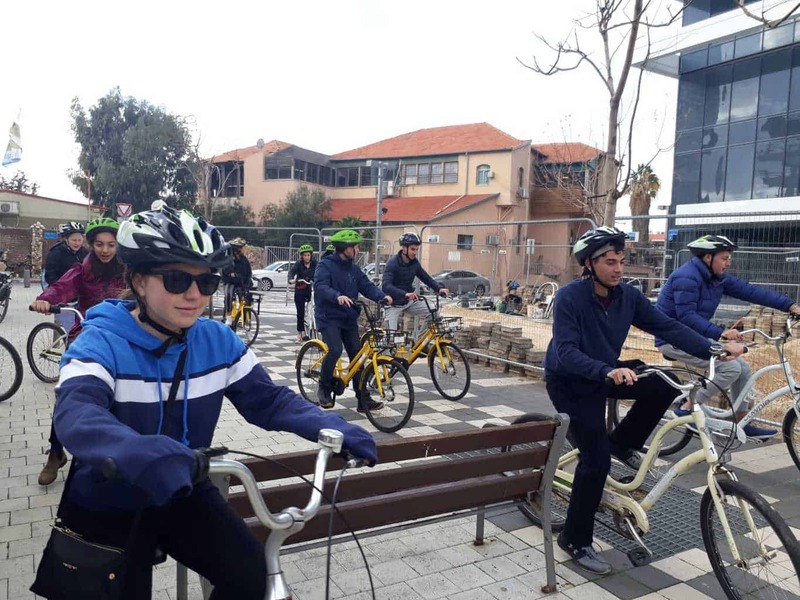 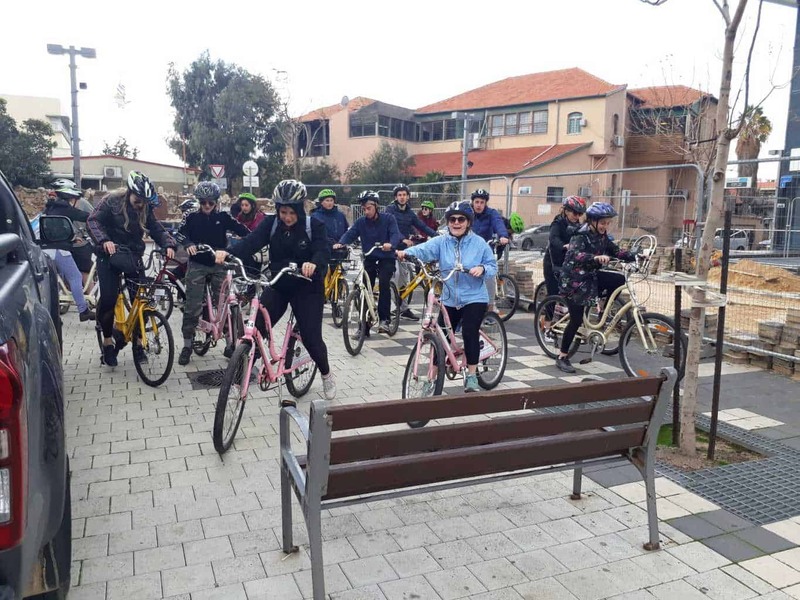 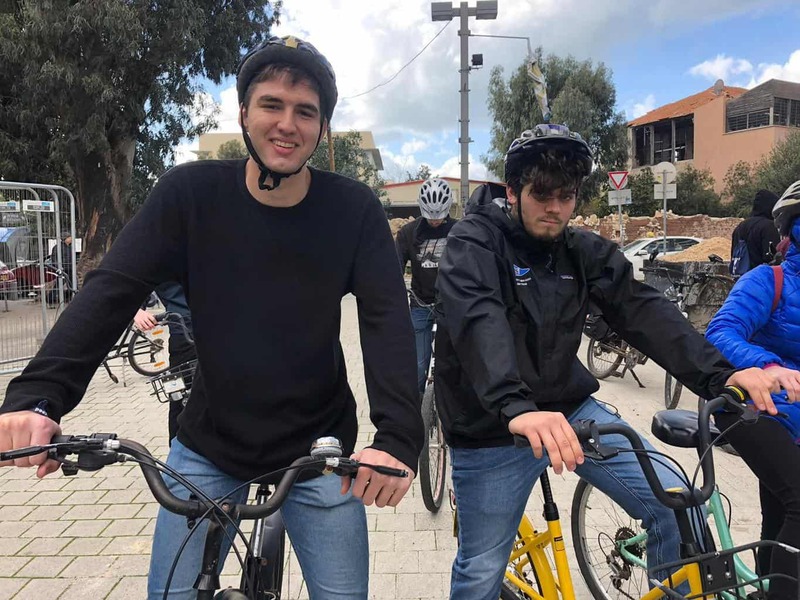 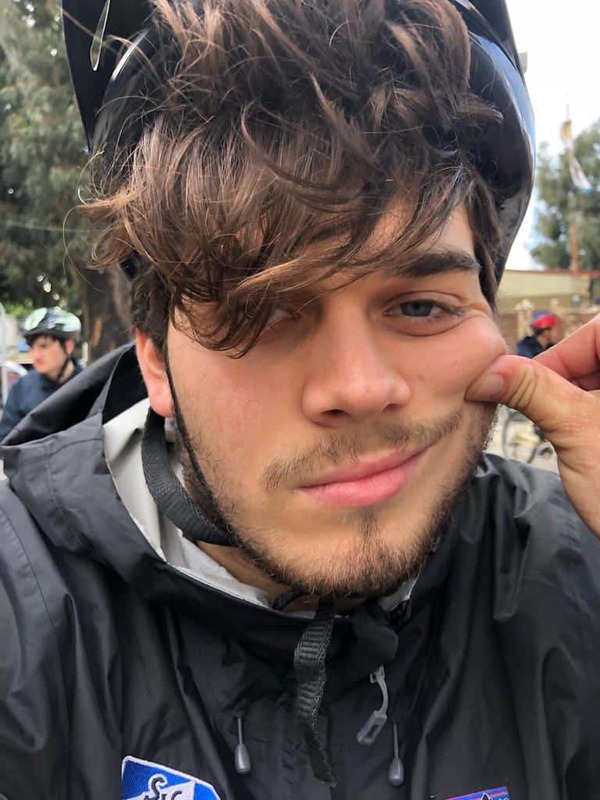 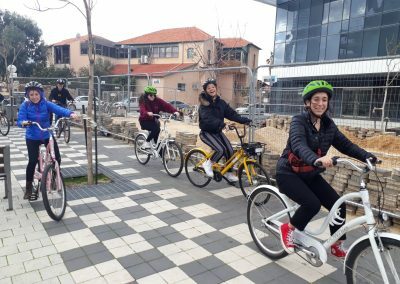 The bike tour was a great opportunity to get a better understanding of the city of Tel Aviv, it was a bit intense due to the wind in our faces on the boardwalk, but the students came through and proved that they can deal with a challenge. 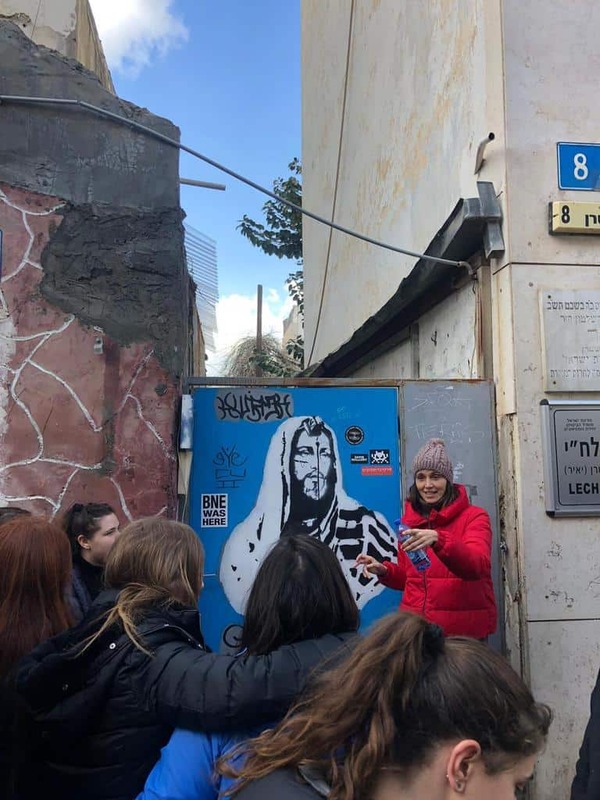 The art tour was unique as we had the privilege of learning about the amazing pieces of art in our neighbourhood from a street artist called Muriel. 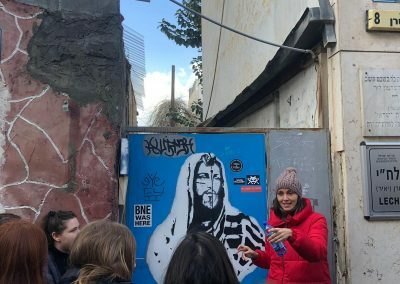 She was able to give us some inside information about the street artists of Florentine. 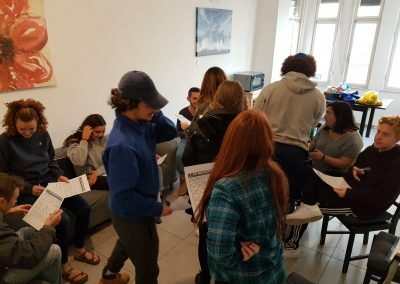 Later on, we split up into apartments for an activity about how to build and handle a budget as an individual and an apartment. 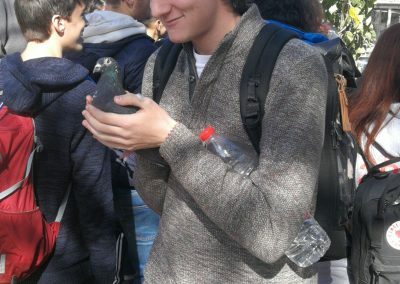 The students went with the Madrichim to the local supermarket in order to put their budget plan into good use. 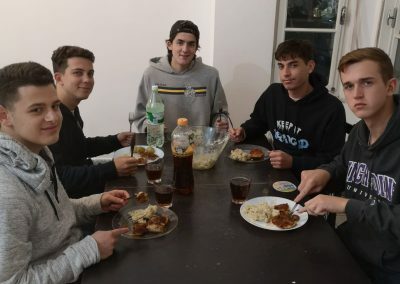 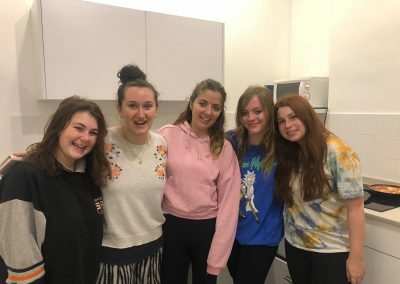 After shopping, each apartment had a cooking session and a family dinner with their new friends. 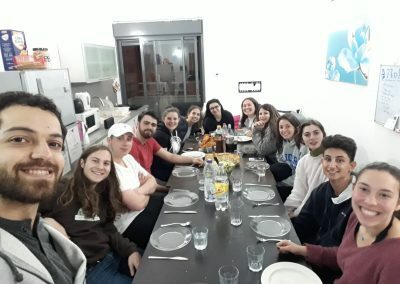 On Friday, before Shabbat prep, we had two activities: the first was a session on the importance of volunteering in the community. 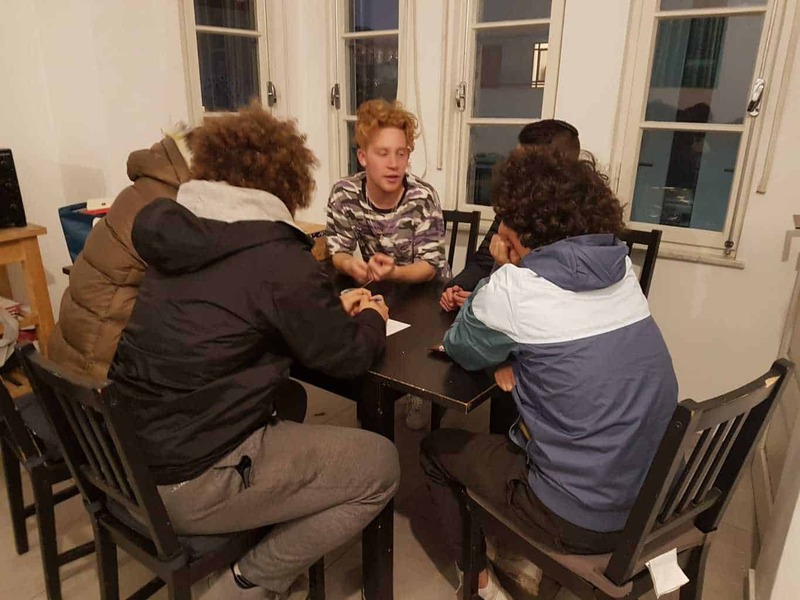 We discussed how we can contribute as a group and as individuals. 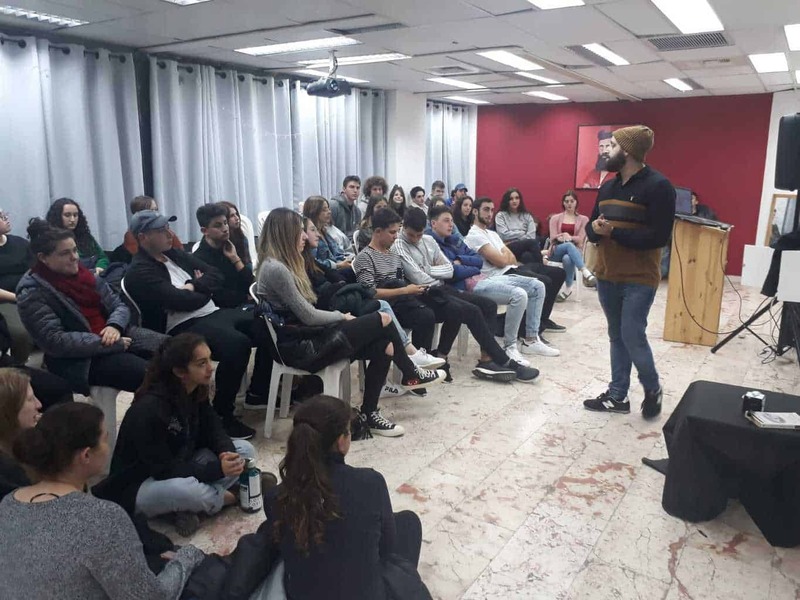 Our second program was about the logistics of the apartments and about ways for the students to maximize their time in Israel. After we finished, we had some time to rest and prepare for Shabbat. 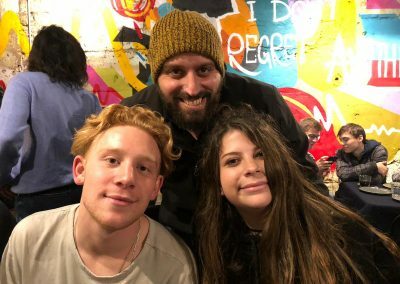 We met at the office for Kabbalat Shabbat. 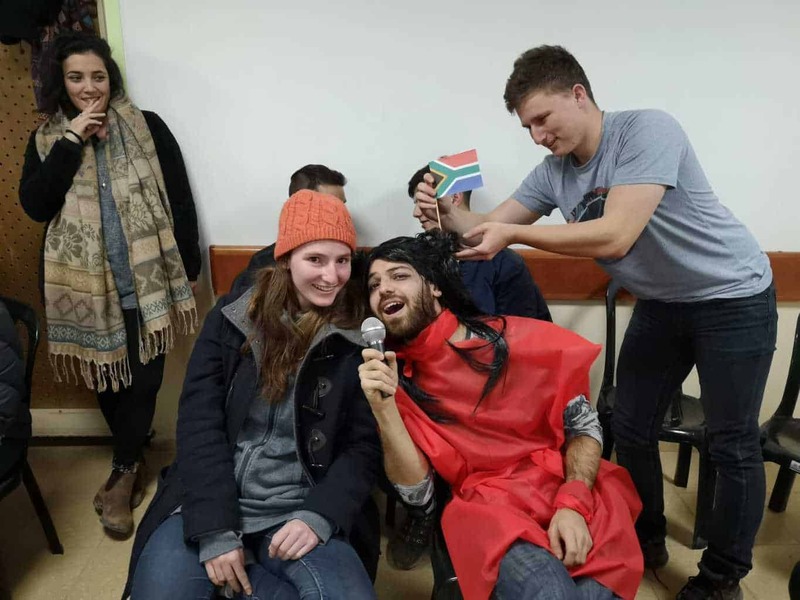 The student dressed up in their fine cloths and we sang some Shabbat songs. 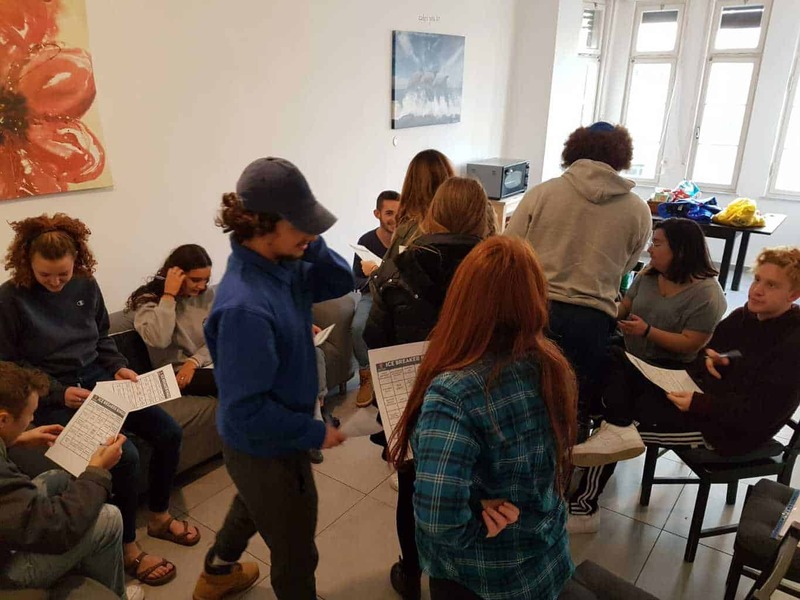 At the end of the Kabbalat Shabbat, the students gave blessing for the upcoming semester. 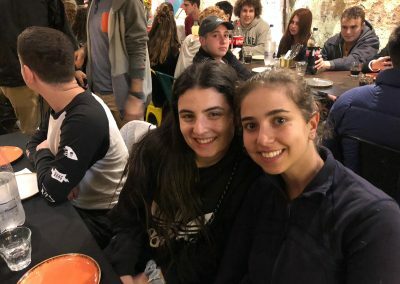 After a touching Kabbalat Shabbat, we walked together to a Neve Tzedek synagogue to join Shabbat prayers and then dinner. On our way, we saw an amazing sunset, and in the synagogue, the students had the chance to interact with one of the local communities in Tel Aviv. 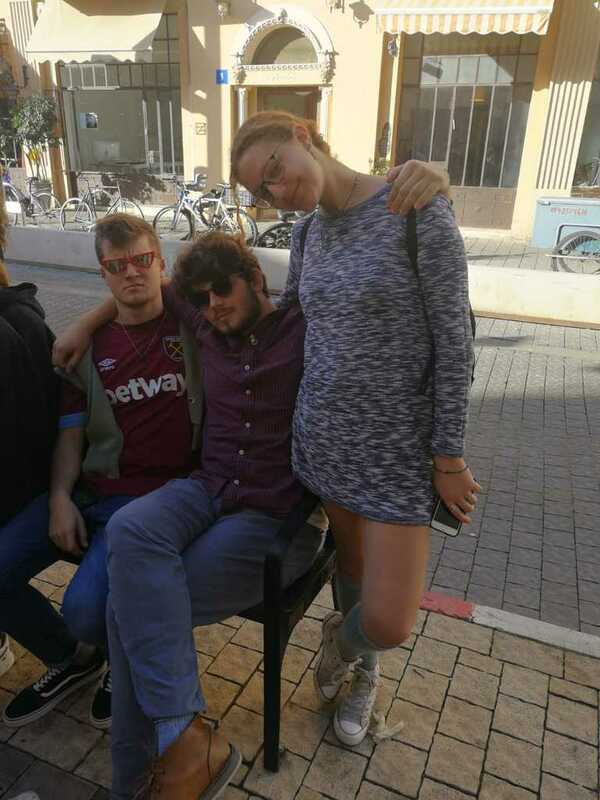 Shabbat was a relaxed day. 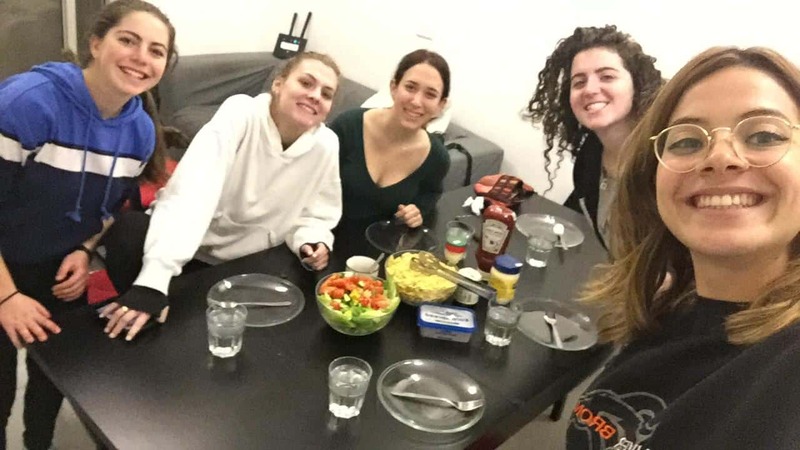 There was an optional Kiddush and breakfast with Rabbi Marc, a potluck lunch in the apartments and a tour given by Shay El and Rabbi Marc. 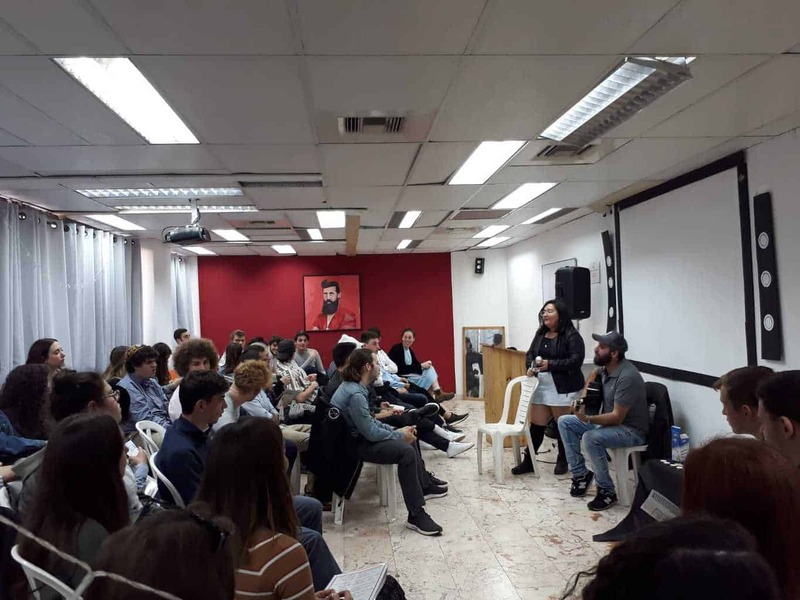 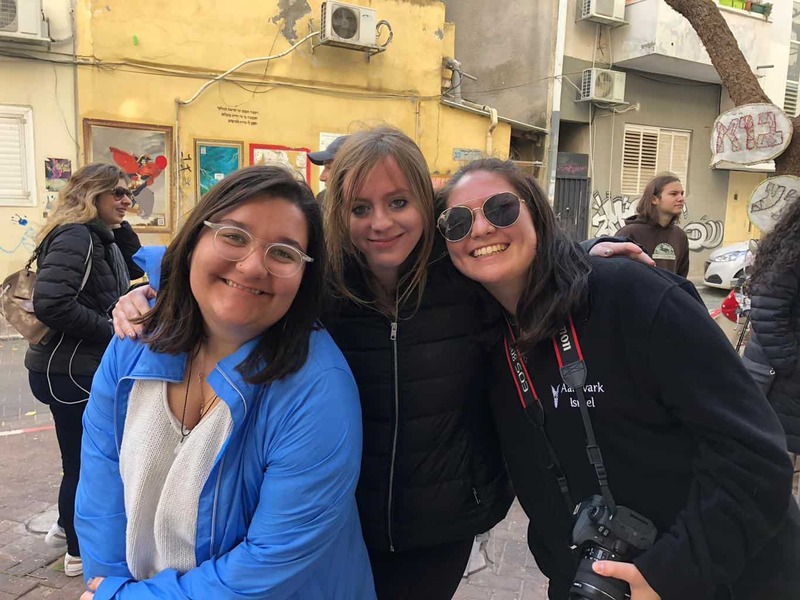 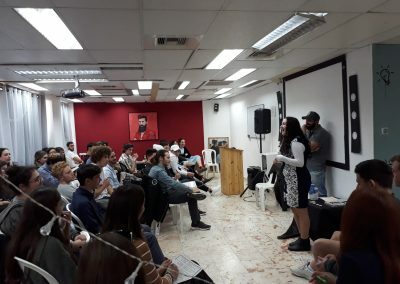 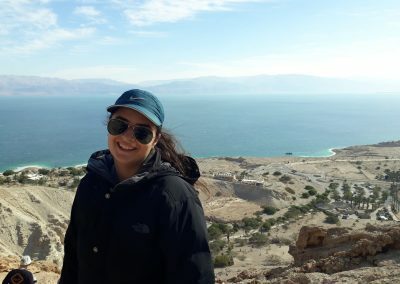 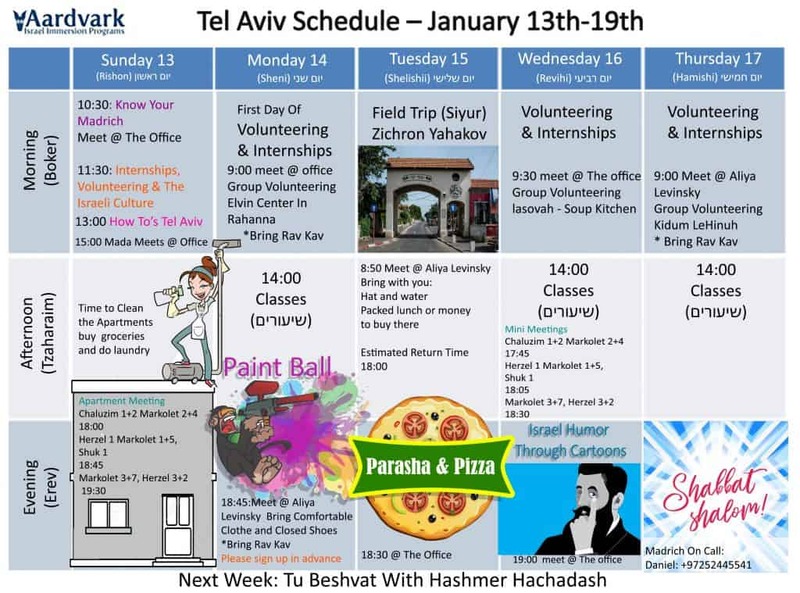 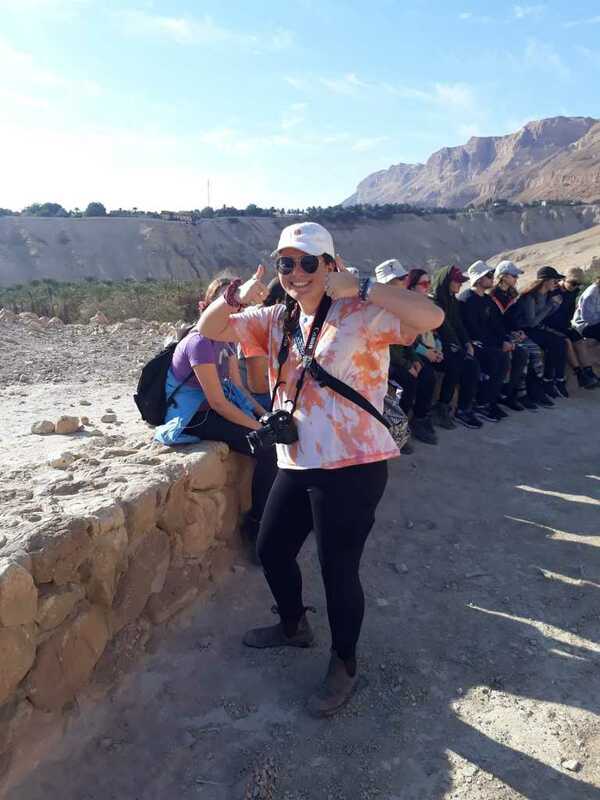 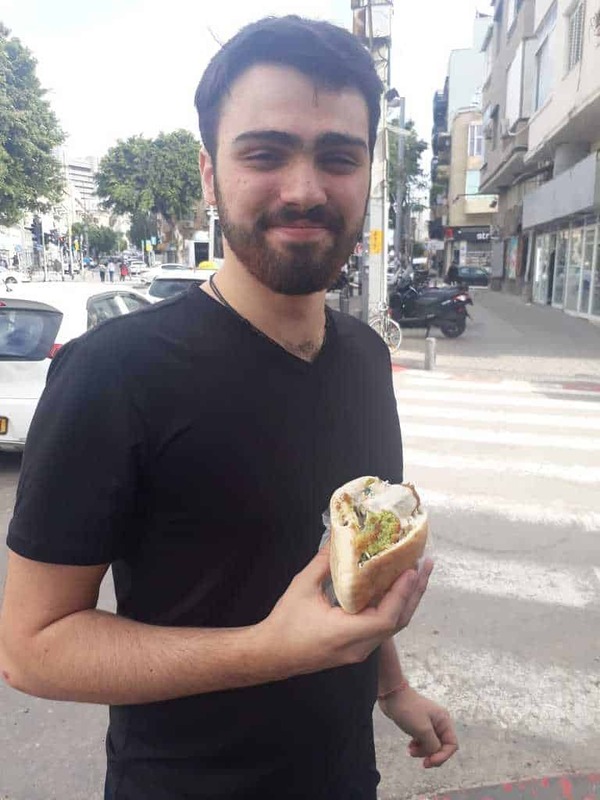 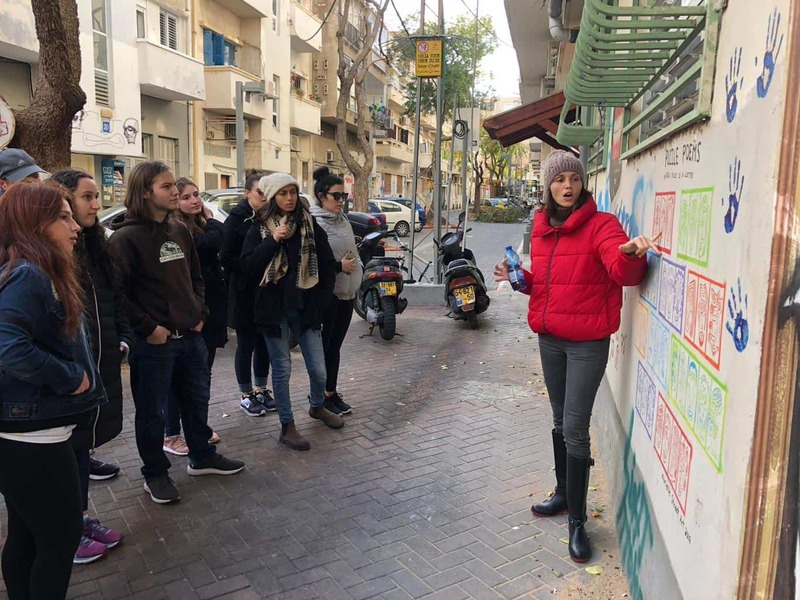 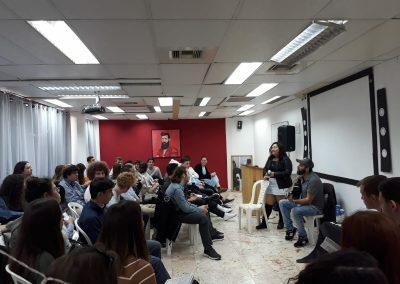 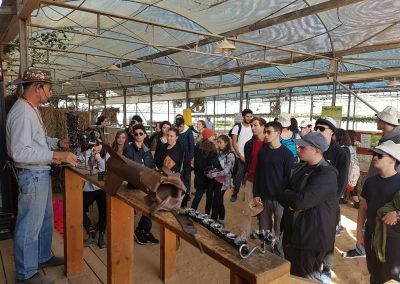 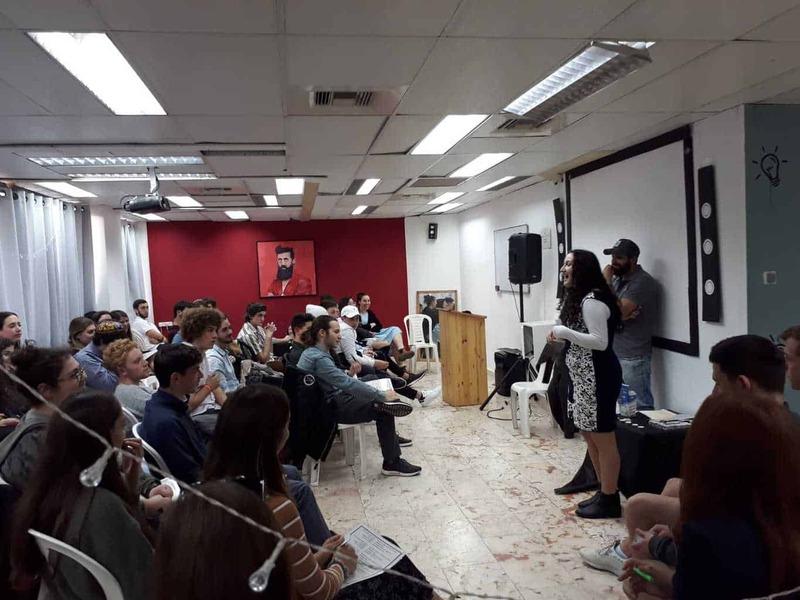 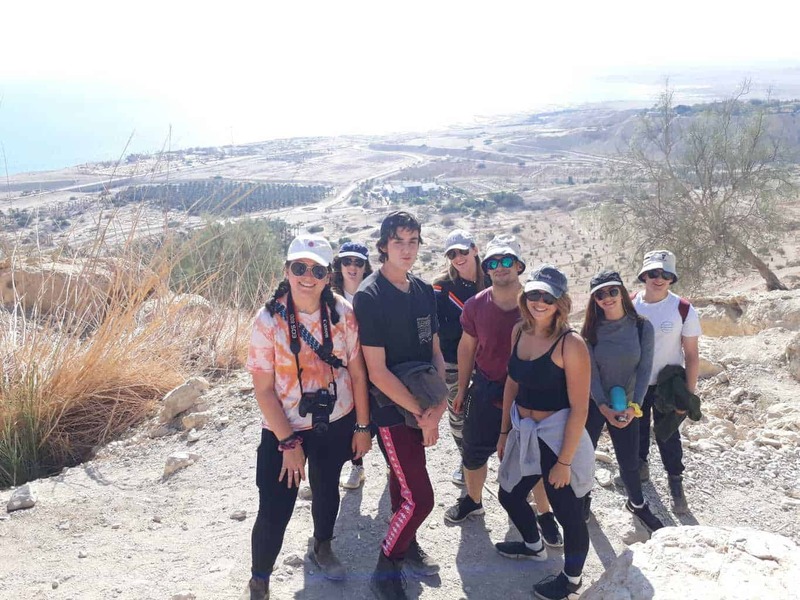 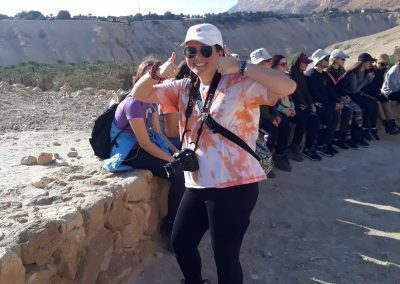 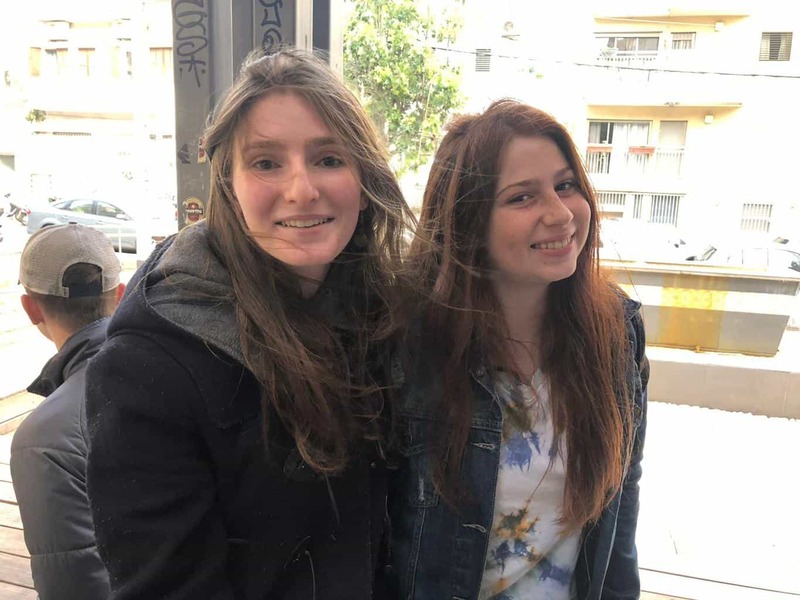 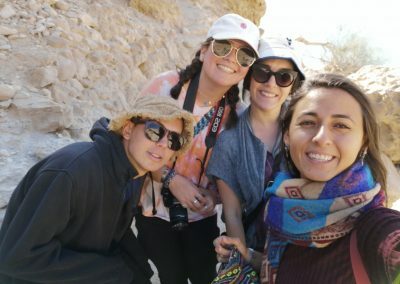 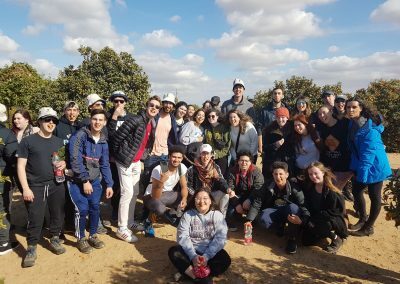 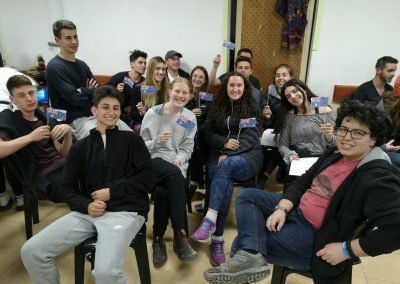 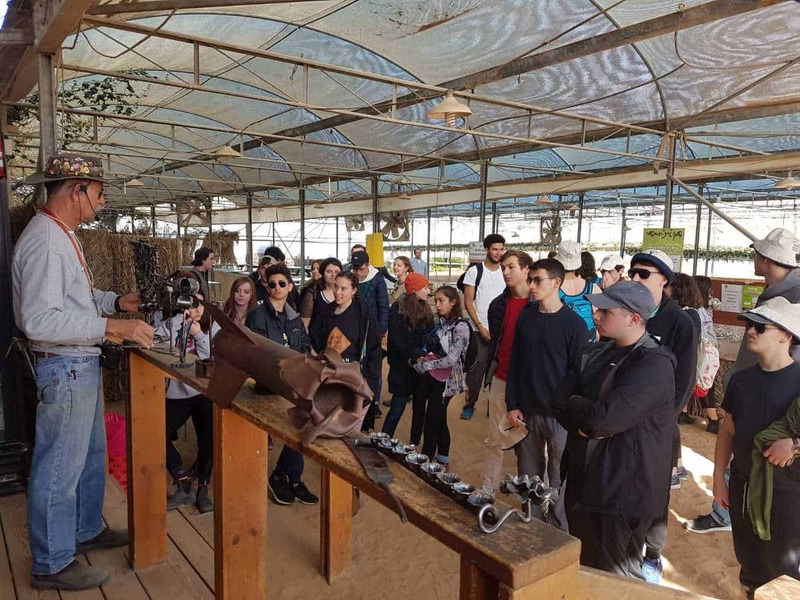 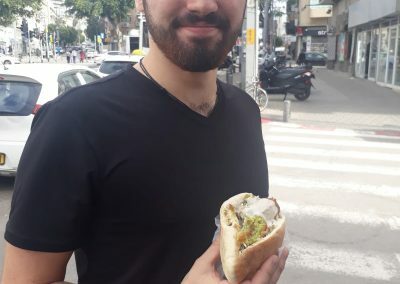 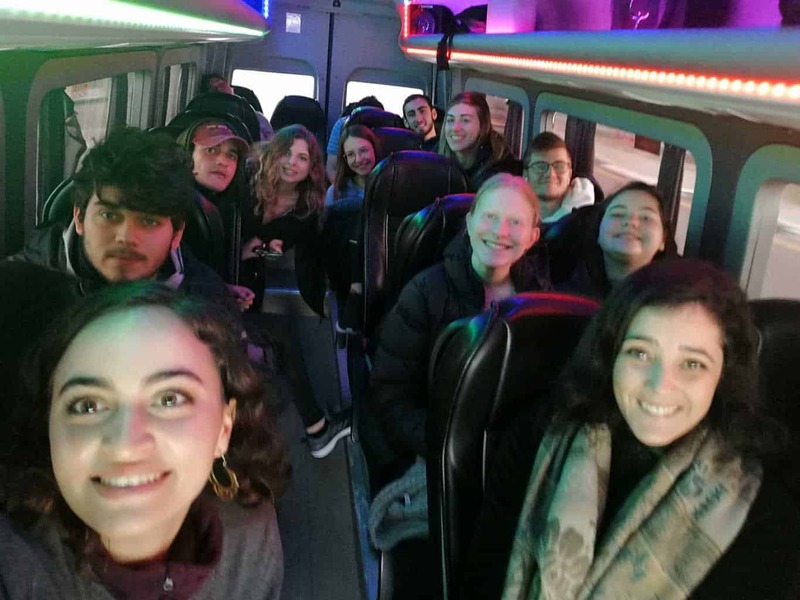 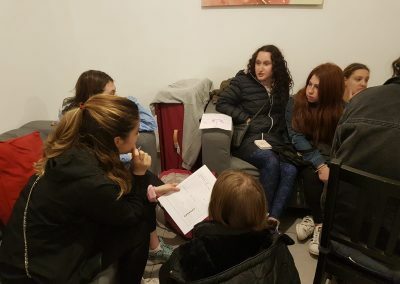 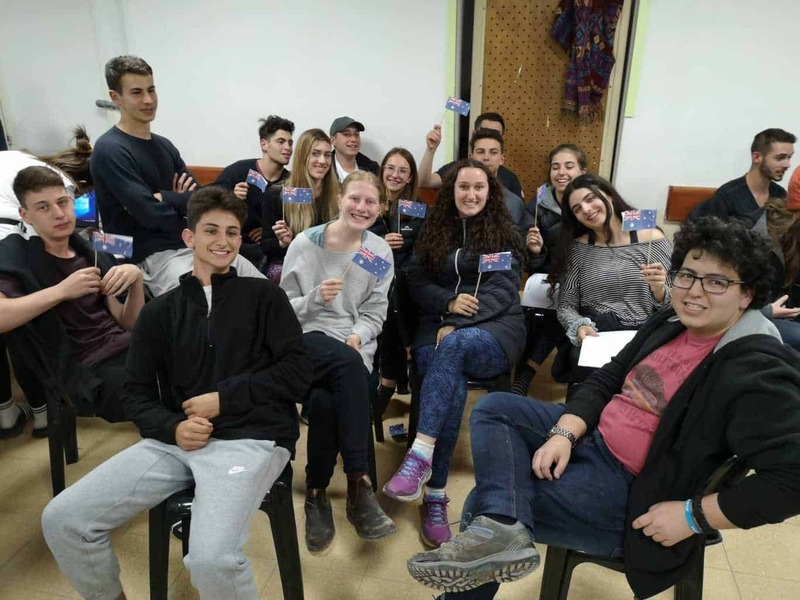 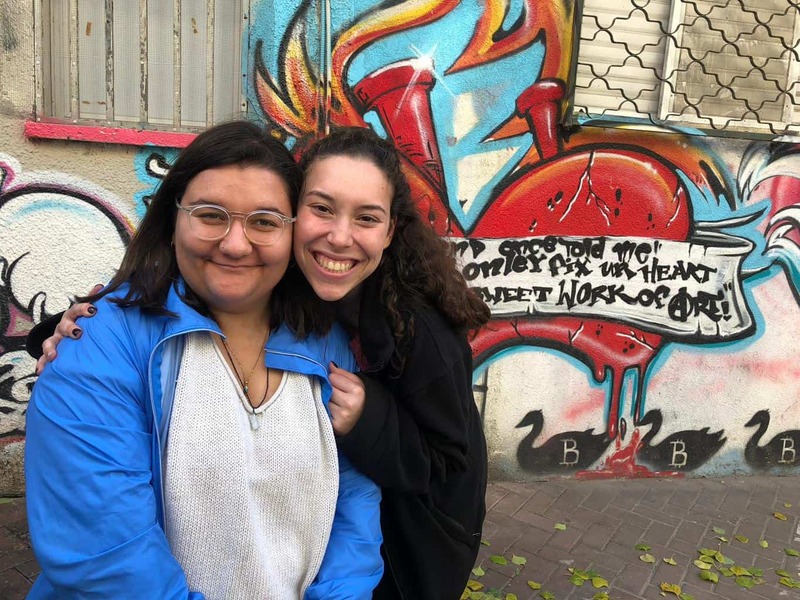 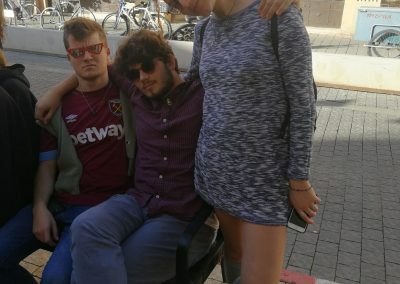 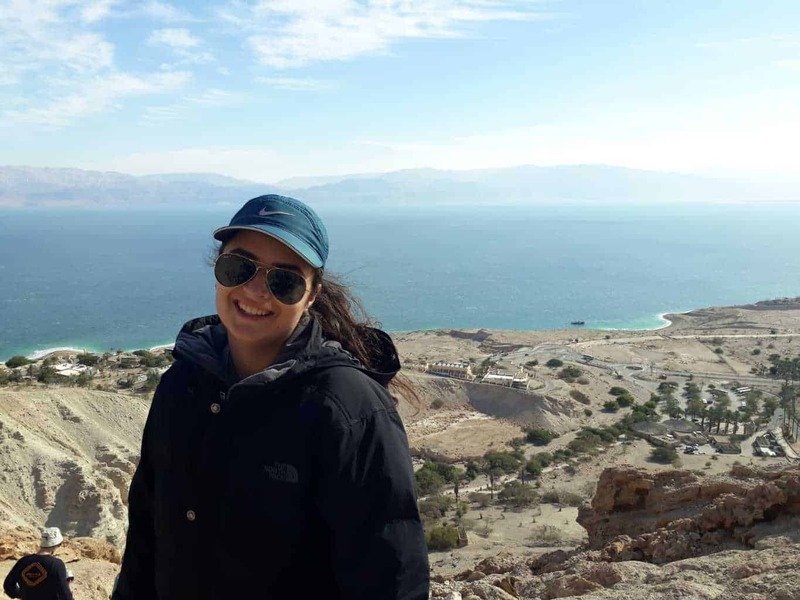 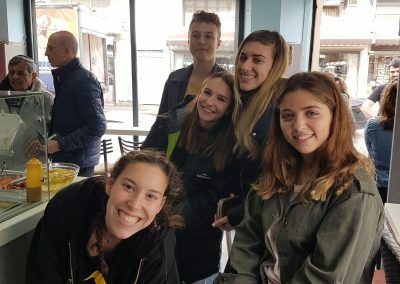 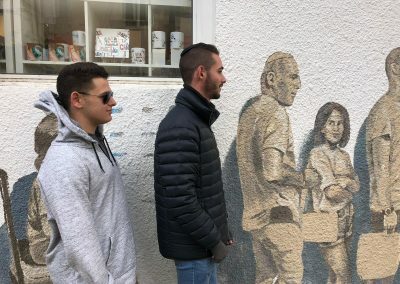 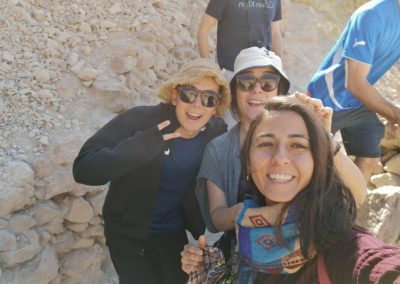 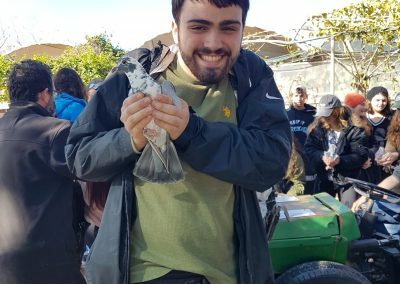 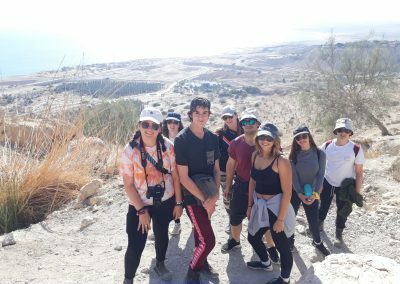 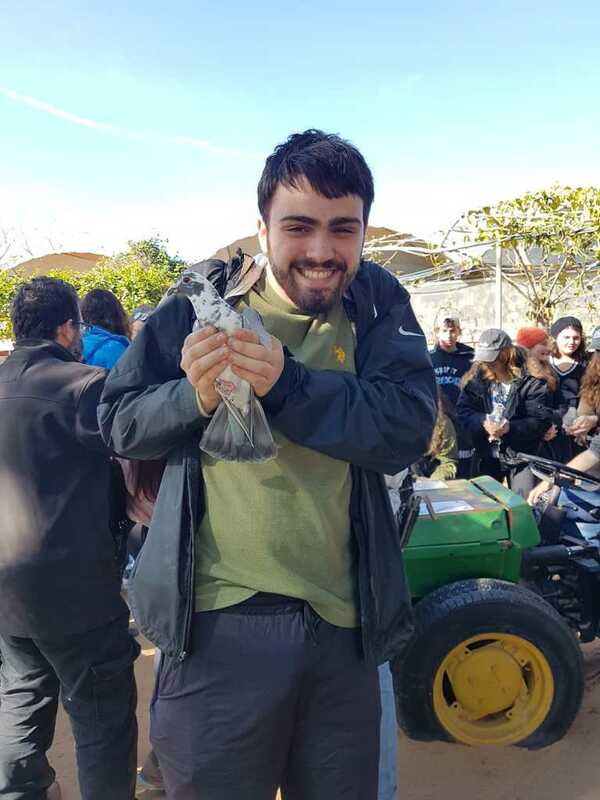 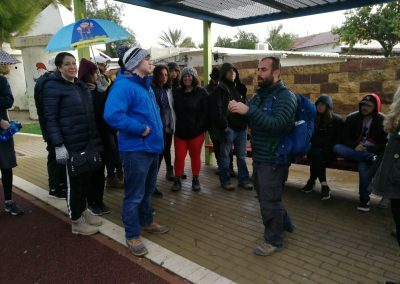 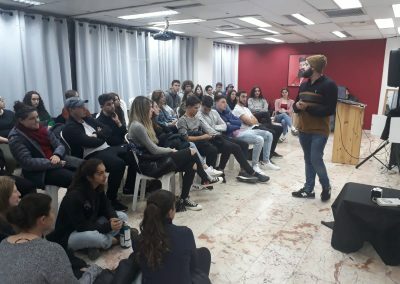 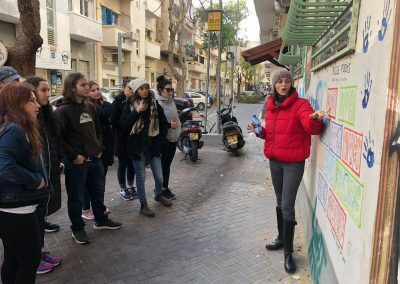 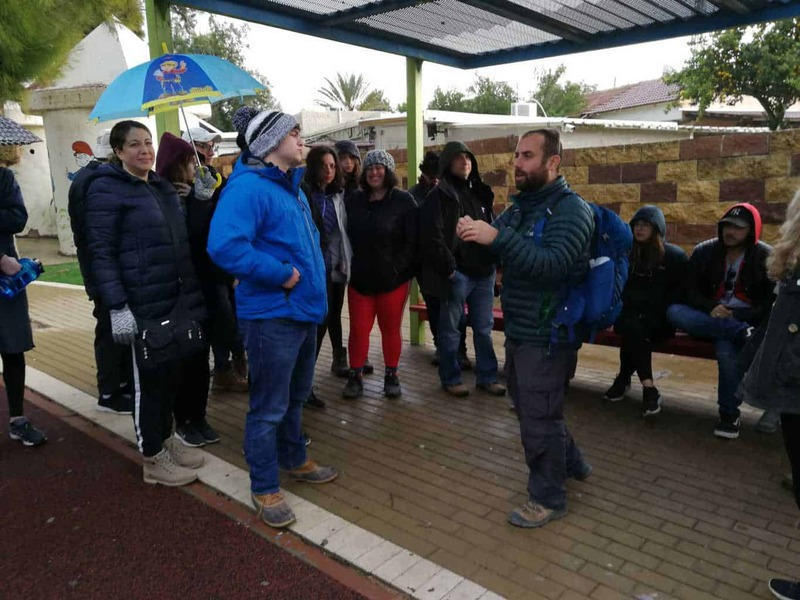 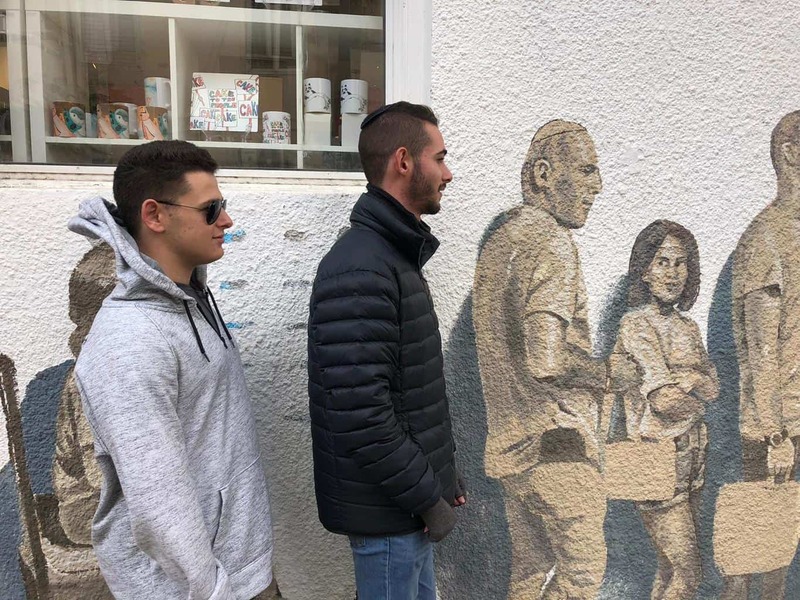 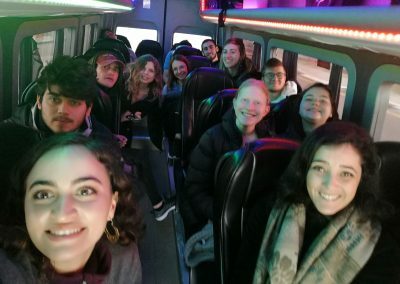 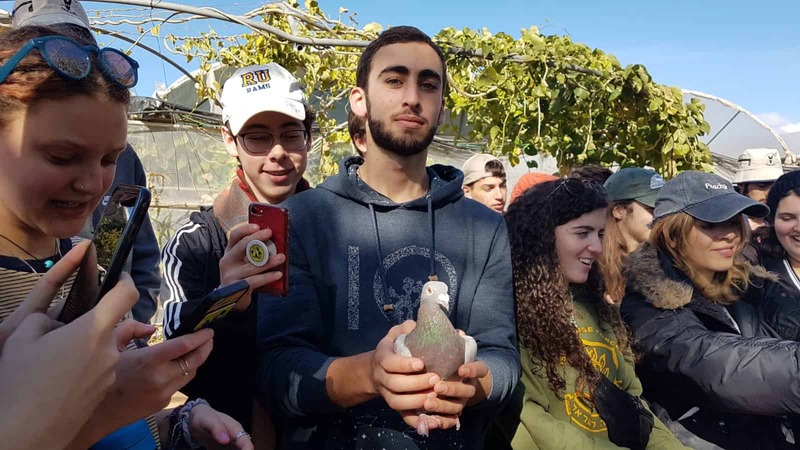 Shay-El led a tour in the historical neighbourhood of Neve Tzedek and Rabbi Marc led a tour about the connection between Shabbat and the city of Tel Aviv. 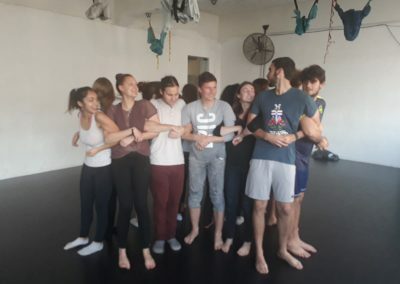 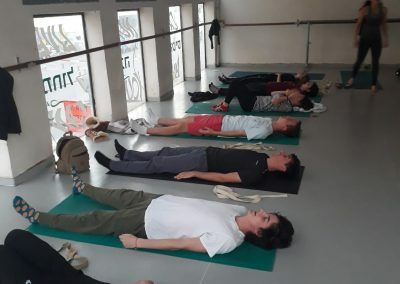 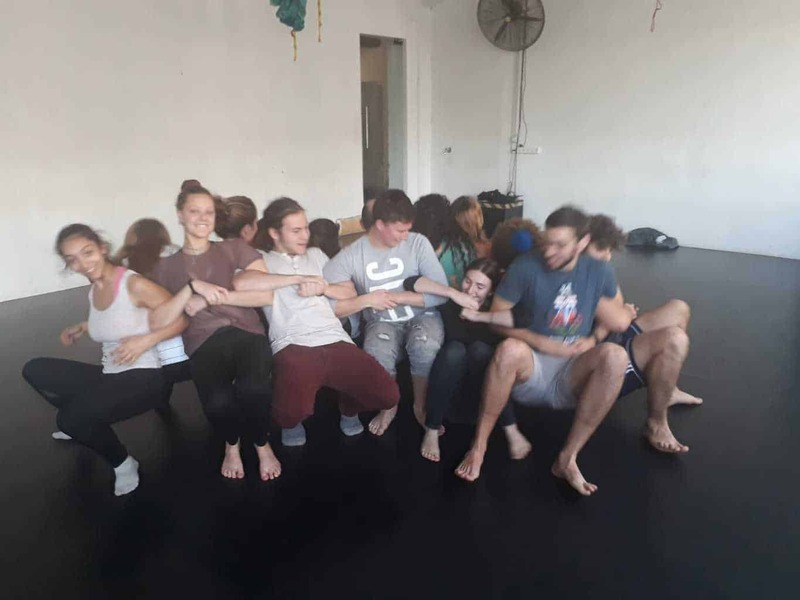 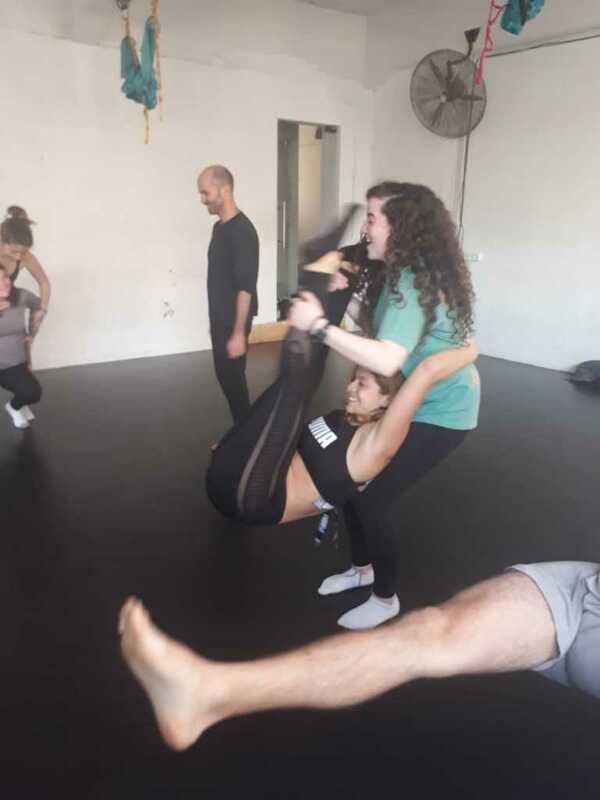 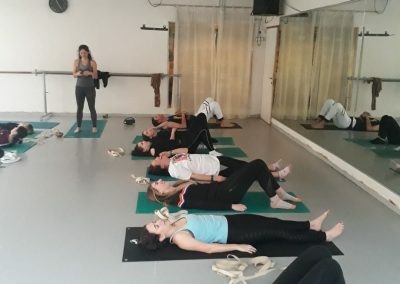 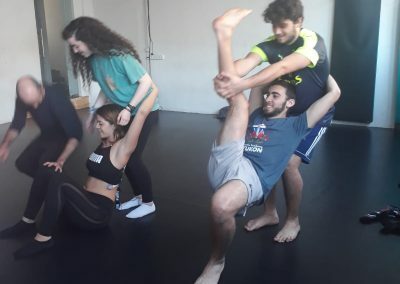 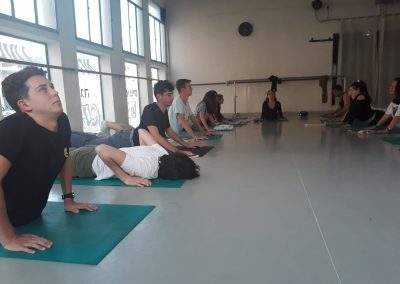 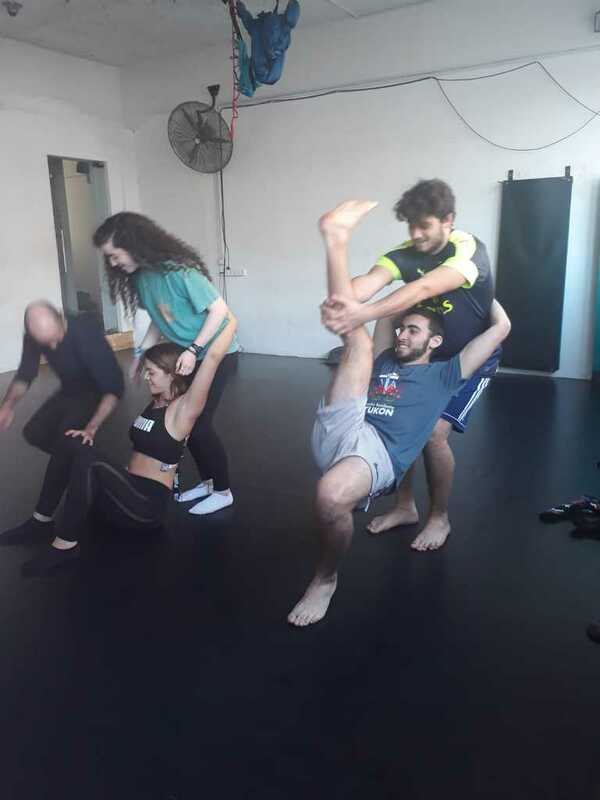 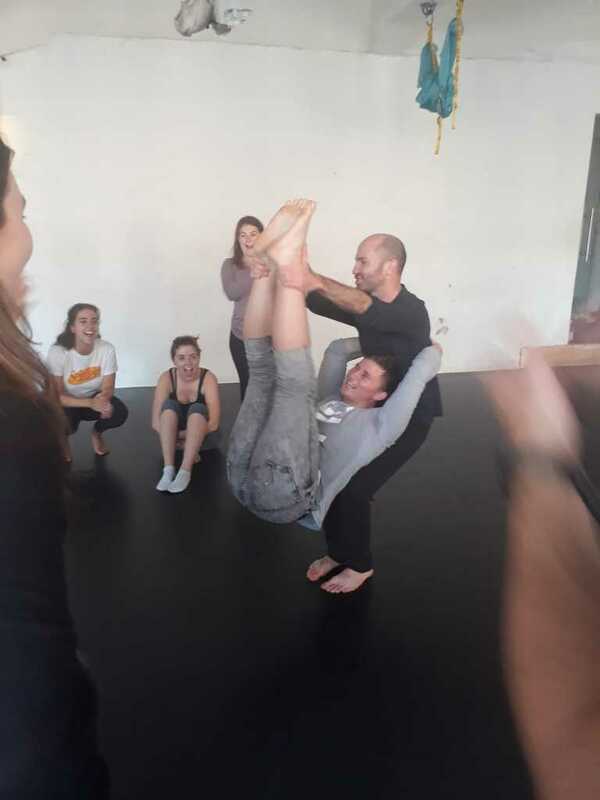 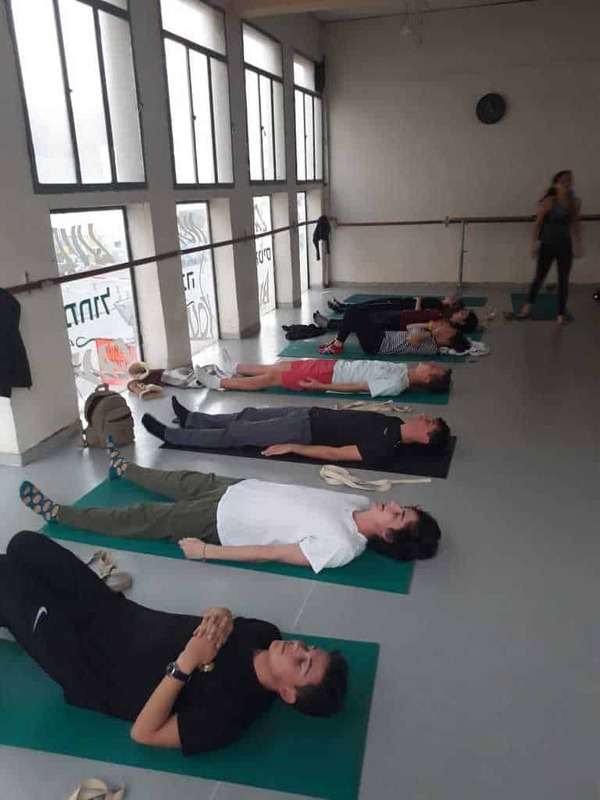 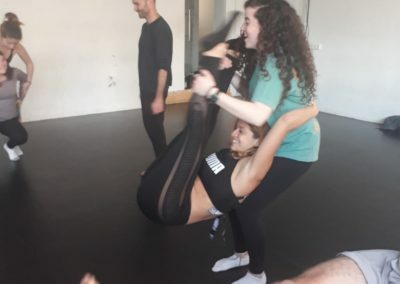 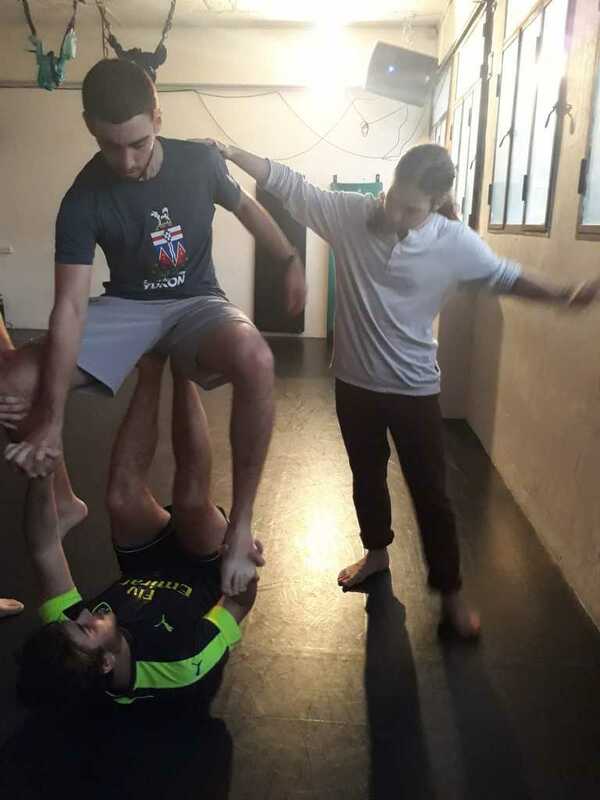 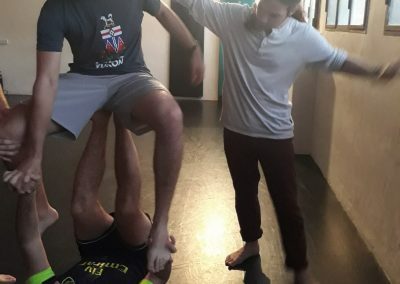 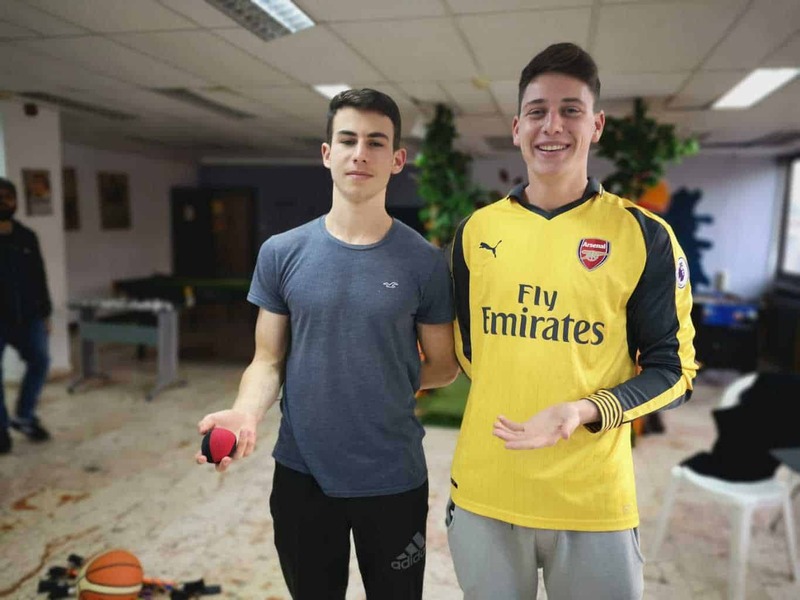 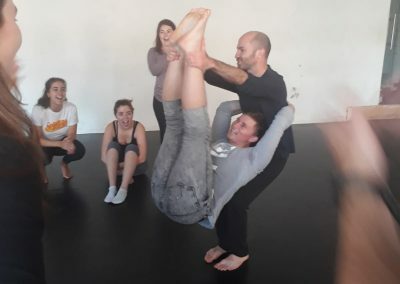 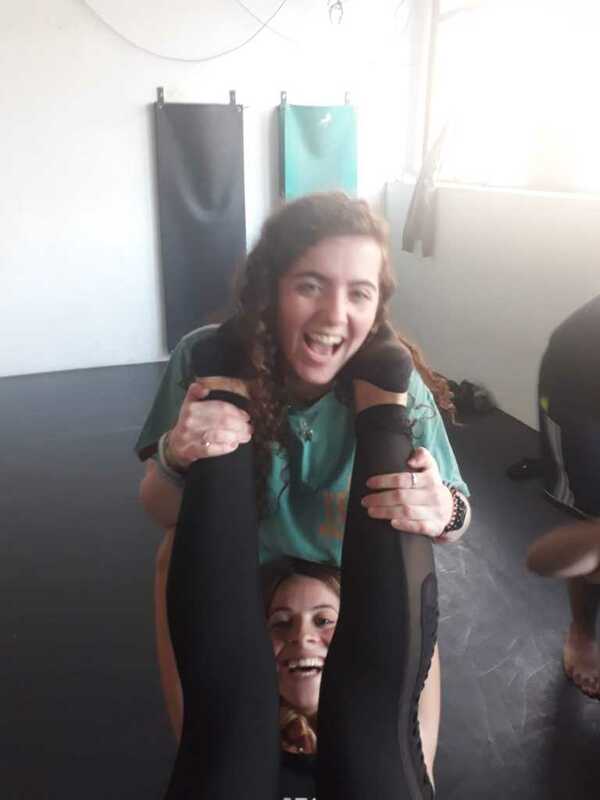 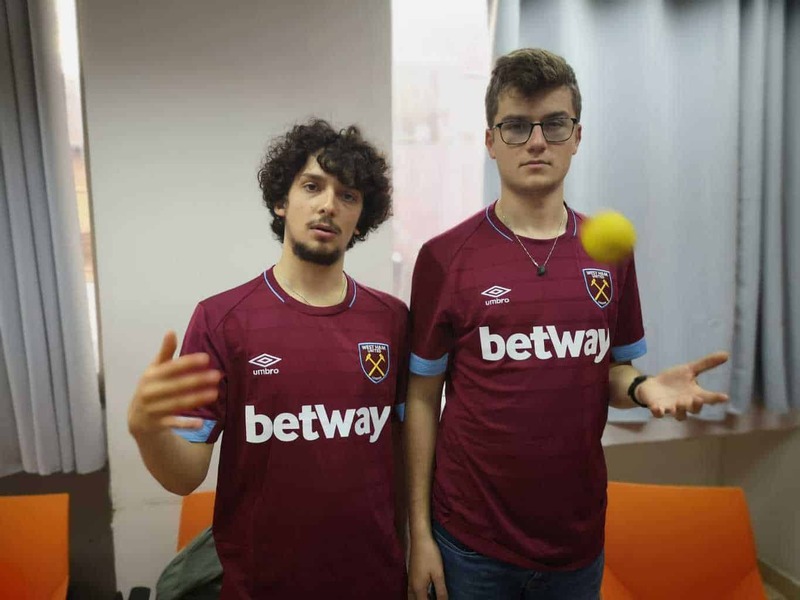 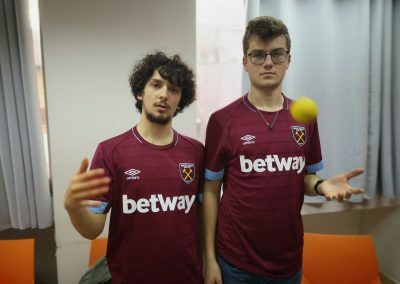 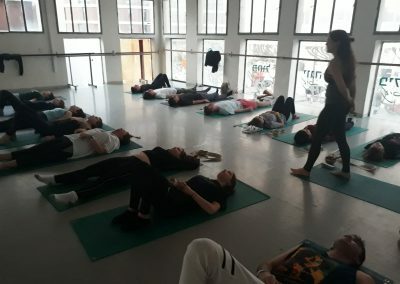 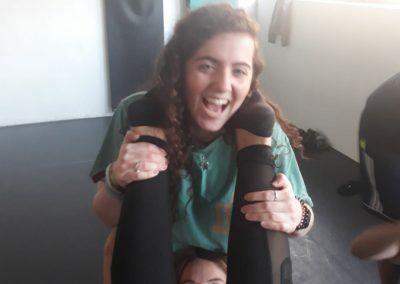 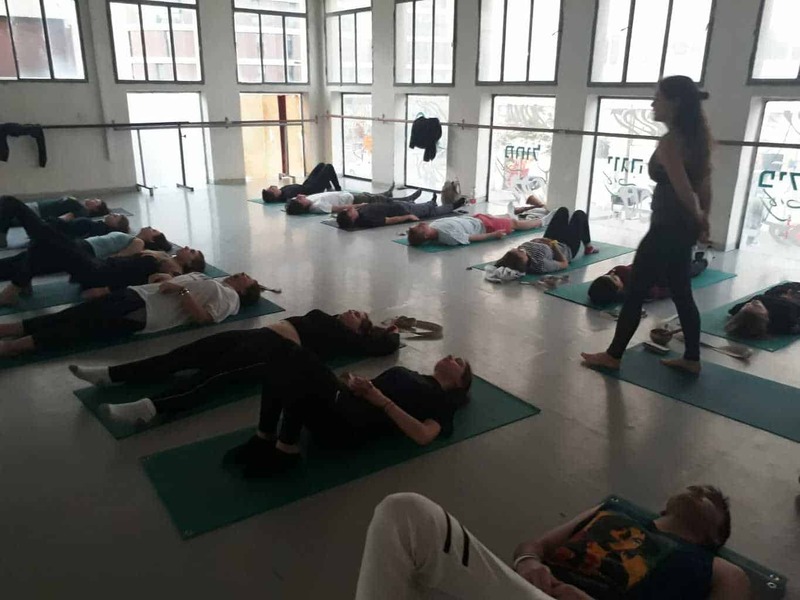 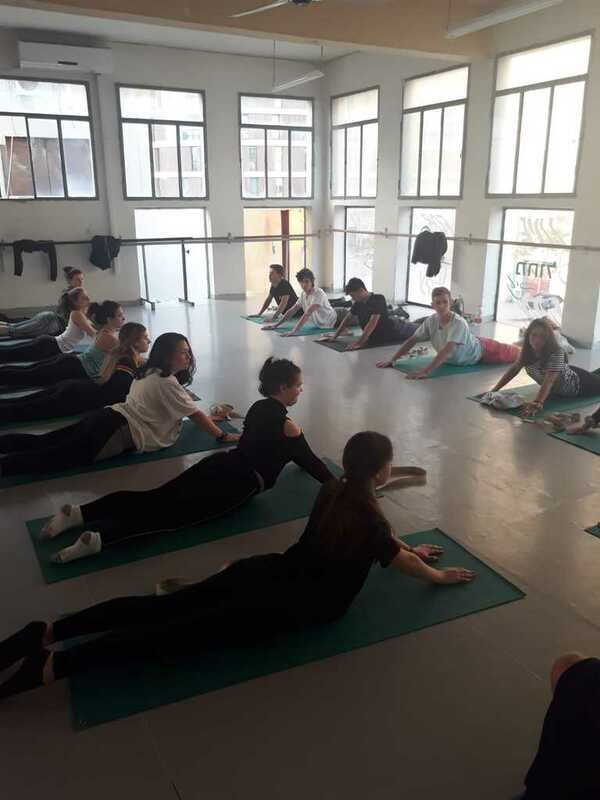 Afterwards, in the afternoon, the students were able to choose from juggling, acrobalance, a discussion of the weekly Torah portion, and yoga sessions. 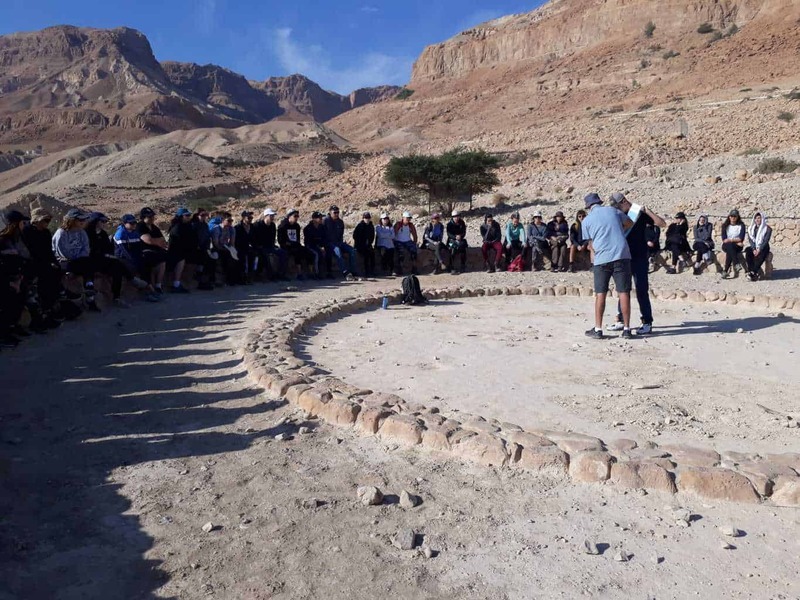 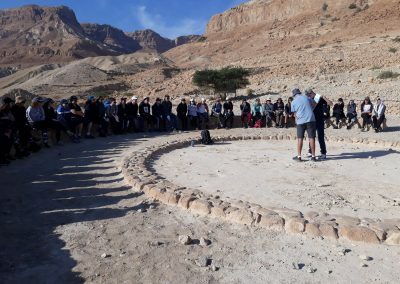 We ended the day with communal Havdala in the Moadon and wishes for the coming week. 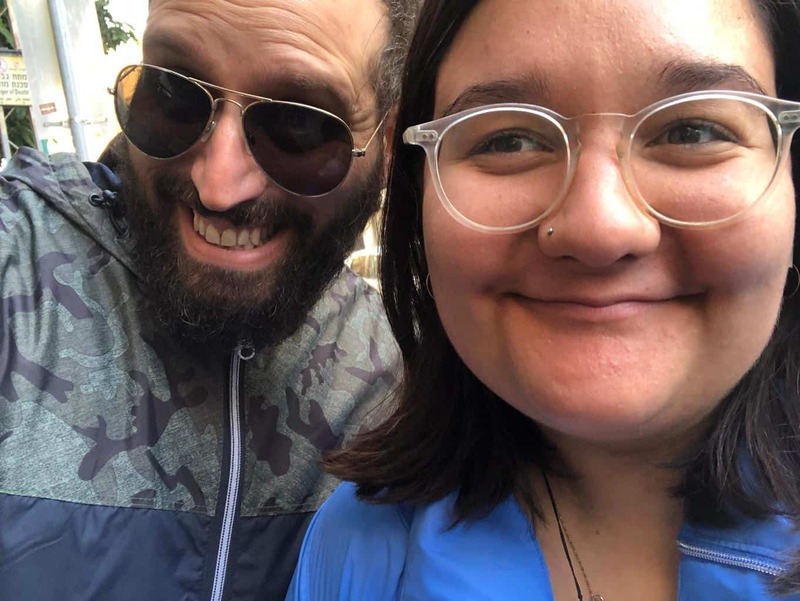 One last note – Please be in touch directly with your child’s Madrich/a. 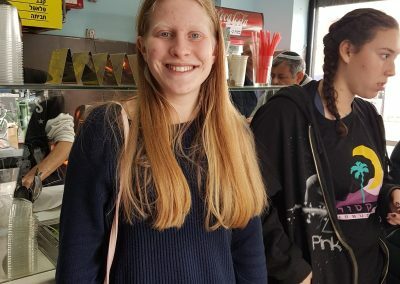 They will be happy to chat with you and assist with any issue.